Of the 15 films Norodom Sihanouk directed during his life, the one titled “an Ambition Reduced to Ashes” (1995) reveals the most insight into the king father’s own view of himself and his legacy. The film tells the story of a young prince who has been educated by a guru and master who takes particular care that the young prince should ascend the throne one day and become the equal of the greatest Cambodian kings, including King Jayavarman VII. In the film, the prince is only partly human: he is also of divine essence. As a future God-King he is advised to stay far apart from the humans. The only problem is that through the love expresses towards a peasant girl in the countryside. He is tempted to become a human being even though this would prevent him from being incarnated into a great king. The guru tried to intervene and explains to the young girl that if she and the young prince make physical love, the young prince’s real age would appear, his body would be reduced to ashes and his real mission to become the greatest king of Cambodia would never be fulfilled. The young prince, unable to resist her beauty, finally makes physical love with the young girl. At the end of the night the young prince’s body transforms into that of a very old man reduced to smoking ashes, and dies. 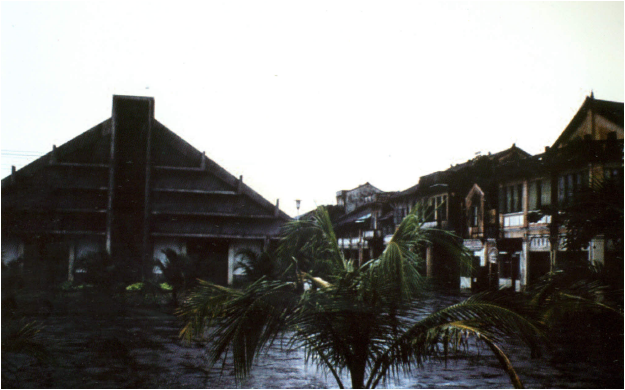 Norodom Sihanouk’s idea behind the movie was to illustrate the conflict between God-nature and human nature, between pleasure and duty. In this movie, just like in the other movies he shot, Sihanouk is obviously looking at himself and analyzing himself. Through this personal psychoanalysis he sees himself as someone who has been destined to the greatest ambition, but who in some but in some sense could not fulfill it. He was crowned in 1941 and he abdicated in 1955 to get into politics. According to the Cambodian Constitution he had no right to get into politics. He gave up the throne to become the head of the state untill March 18 1970 Coup d’état, when Lon Nol took the power. That was not the end of Sihanouk. He was re crowned again in 1993 and in 2003 he retired, this is really unique and there is not another king in the world who could have performed so many political deaths and renaissance. It is difficult indeed to put together all of the aspects of the personality of Sihanouk, hence the use of the word paradox may appear to be of some relevance. One thing is sure: as an outstanding politician and statesman, he put himself passionately at the service of Cambodia and would interfere in the most tragic way in the decisive periods of modern Cambodia. King Monivong died on April 23, 1941. The crown council then selected Prince Norodom Sihanouk as King of Cambodia which was rule at the time by France’s Vichy regime. All this begins like a fairy tale. Norodom Sihanouk ascended the throne in September 1941. The Cambodian monarchy is not a hereditary monarchy. This implies that the king is not compulsorily the son of the preceding king. On the contrary the Cambodian monarchy is an elected monarchy. The king is chosen and elected amongst numerous princes, generally from the Norodom or Sisowath families by the Royal Council of the Crown. It is not exaggerated to say that the Royal Council of the Crown is an instrument in the hands of the real political power. So, In 1941 when Norodom Sihanouk became the king, the question: Why was Sihanouk chosen? could be equivalent to asking: why did the French want Sihanouk to be the king? As a joke, the general governor of Indochina, Admiral Decoux’s wife said “because he was a very cute boy”. Obviously for Admiral Decoux, the general governor of Indochina himself, what was at stake was not Sihanouk’s cuteness, but Sihanouk was also for him the perfect candidate. Sihanouk loved enjoying himself: cars, sports, parties, dancing… Sihanouk was smart enough to persuade the French that he wasn’t really interested at all in politics. That is the reason why the French chose him: because they believed that he wasn’t interested in power. Once more in history, the old illusion “He’ll do what we want him to do” revealed an incredible political blindness. Later on Sihanouk wrote about this period of his life when he was chosen to become the King: “My first reaction was of fear, of fright, I broke into tears”. Sihanouk showed for the first time his incredible ability to wait and his outstanding talent to take the opportunity when it arises. The French were soon to discover their mistake. In March 11 1945, under the pressure of the Japanese troops, Sihanouk abrogated the 1863 and 1884 French protectorate treatises and de facto proclaimed the independence of Cambodia. There was a fly in the ointment as the Japanese had imposed Son Ngoc Than as a prime Minister. Son Ngoc Than was a very popular personality who had to go into exile to Tokyo in 1942 after having organized anti French demonstrations in Phnom Penh in July 1942. In theory, the French collaborationist Vichy regime and Japan were allies and as such the Japanese troops could have entered French Indochina without toil, but the relationships between French and Japanese were mainly based on mutual distrust: French Indochina could not fit the vision japan had of South East Asia as a part of greater East Asia co-prosperity sphere and the choice of a radical nationalist like Son Ngoc Than was much more convenient for the Japanese than the somewhat ambiguous Sihanouk. The opposition between the 2 men deserves a thorough attention as it is a highly relevant line of interpretation of the Cambodian politics at least from 1945 to 1993. On the one side an ideologist whose will consists in translating his project into reality at any cost, on the other side a pragmatist who knows that he shouldn’t indulge in wishful thinking. In short, Norodom Sihanouk was no less nationalist than Son Ngoc Than; the difference between the 2 men lies elsewhere: in the ability to think within the realms of possibility. Sihanouk knew very well that the time was not ripe for independence as he understood the international situation to a much greater degree than Son Ngoc Than. The following events proved that Sihanouk had been correct. 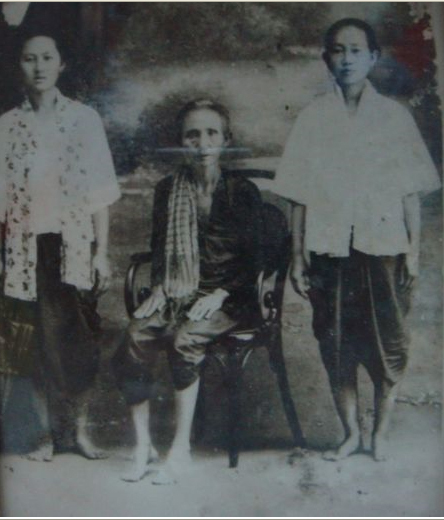 In 1946 the French returned, placed Son Ngoc Than under arrest and exiled him in France. Sihanouk, meanwhile, was confirmed in his functions. On the one side, Sihanouk was clean as he had abrogated the protectorate treaties under the influence of the Japanese. On the other side, Sihanouk had only been the willing victim of the Japanese and his often denials were another paradoxical way to make it clear that March 11 1945 events were but a final rehearsal. Sihanouk spent the next years from 1946 to 1952 asking for French concessions and began pleading for Cambodia’s independence. At that time independence was within arm’s reach: the 1st Indochinese conflict had begun in what is today Vietnam. In Cambodia the situation was characterized by a growing unrest due to Khmer Issarak (Free Khmer) nationalist uprising and the communist Party of Indochina. The Democratic Party like the latters had the total independence of Cambodia as a major part in his program. He invited Son Ngoc Thanh to negotiate with him. For a radical who built his life on a zero concession principle, negotiation is in essence a dangerous game. As Sihanouk didn’t offer him a prominent place, a disappointed Son Ngoc Thanh took the bush and rejoined the Khmer Issarak in February 1952. Sihanouk appeared then to the world as the only peaceful solution. In June 1952, as he had to beat the Khmer Issarak by the nose, he launched the Royal Crusade to Independence and went to Paris, Washington, Bangkok with a message “Negotiate with me now”. The French were wise enough to listen to him and Cambodia became an independent state on November 9, 1953. The independence was recognized internationally in July 1954 Geneva conference. Again Sihanouk proved to be a chess player of a superior level who was several moves in advance on his adversaries. Sihanouk was the father of Independence, but that was not enough. Sihanouk was a king in a constitutional monarchy where a king is supposed to reign quietly and not to govern. In short, in a parliamentary monarchy the King is the symbol of power, the king does not exert power. Knowing someone like Sihanouk, one could not imagine that he would be ready to be present at the unveilings of primary schools and to be offered bunches of flowers. Sihanouk wanted to govern. Of course, it would be ridiculous to thing that he wanted power for power: Sihanouk had a vision, the service to which power should be applied. It was not really a political party: it was a place where all the real strength of the nation had to meet to build Cambodia’s future. The candidates of the SRN were then triumphantly elected in 1955 (83% of the votes), and this regime is absolutely essential in order to understand modern Cambodia. Sihanouk was then 33 years old. 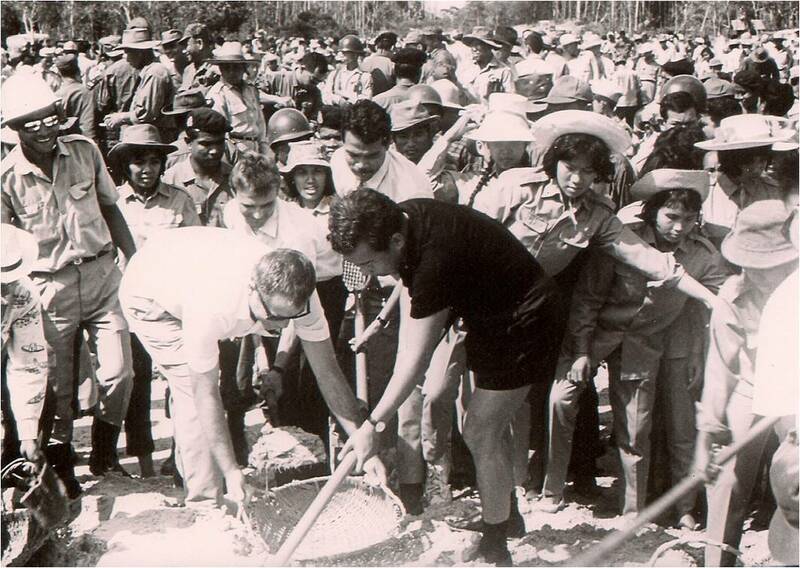 As soon as he got the power, Sihanouk displayed his greatest abilities of a politician, builder and architect. A major point was the Bandoeng conference where Sihanouk joined the non-alignment and showed signs of rapprochement with socialist countries. At home, this policy deprived his left-wing adversaries of a trump card as they had no other solution than to create a support committee of Sihanouk’s neutralist policy. He transformed this country into a huge building site. People can still notice today the new Cambodian architecture in Phnom Penh and in all the provincial capitals. 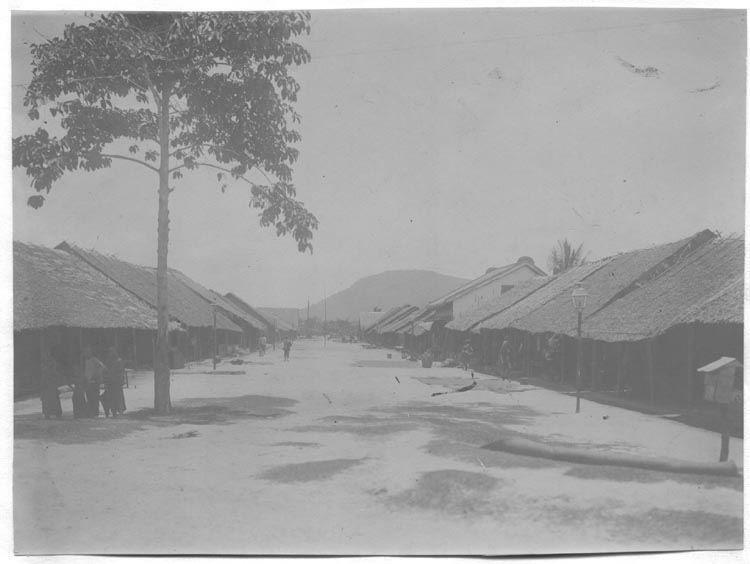 He took particular care in developing areas that had been neglected under French rule like Kampot for instance. 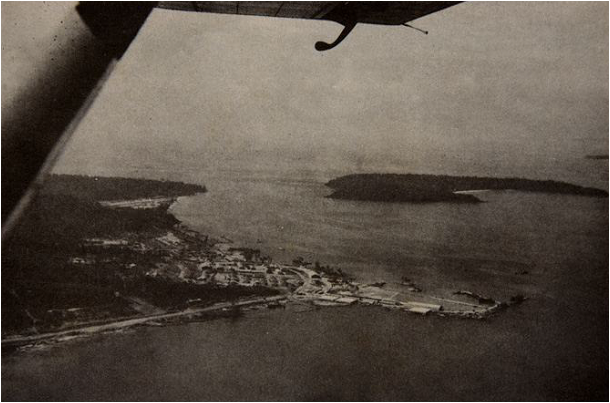 The building of Sihanoukville harbor reveals his strong will of independence. At the time of the French protectorate, the entrance and exit door of Cambodia was Saigon: all the goods imported into Cambodia or exported from Cambodia had to be transported through the French colony of Cochinchina. After the independence, Sihanouk could not tolerate any more to have his Cambodian boats controlled by the Vietnamese authority: Cambodia’s exit and entrance door should be inside the Cambodian territory and in the early 60s the Sihanoukville harbor was built. His vision of power had a lot to do with architecture. 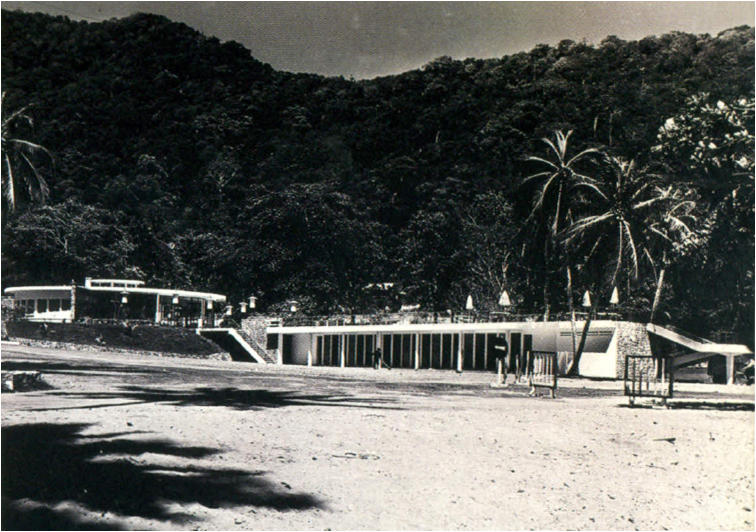 What Sihanouk wanted for his country could be summed up in one word: Modernity. For 90 years, the French protectorate rule had clipped the prerogatives of the Cambodian monarch. Even if kings like Sisovath (1904 – 1927) or Monivong (1927 – 1941) were revered like gods by their subject, the reality of the power was in the residence and not in the Royal palace. Far from the small provincial capital he inherited from the French, Sihanouk wanted a new architecture for a new vision of power in Cambodia. 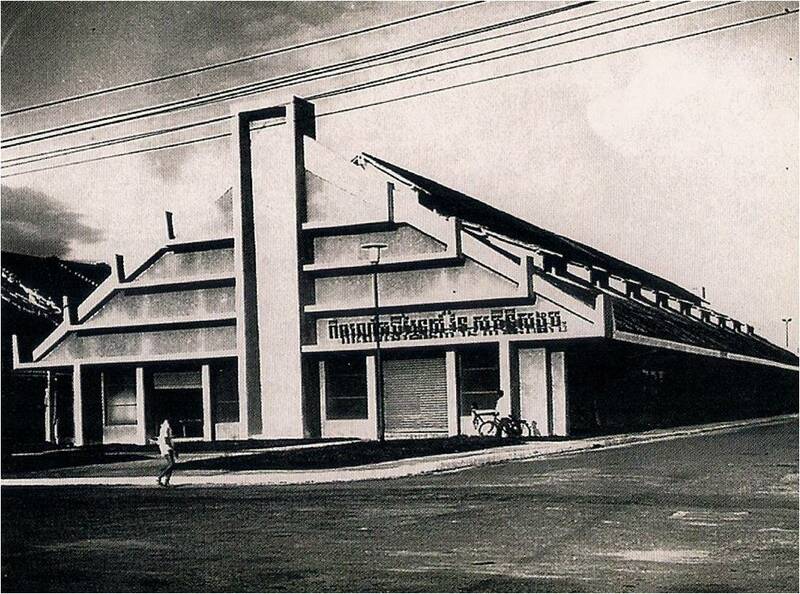 All the buildings we can still see in Phnom Penh are evidence for this appetite of modernity. These buildings are here to remind us that Cambodia was the only country in Southeast Asia with a modern and beautifully functional architecture, far exceeding the other Southeast Asian countries architecture. In order to play the delicate diplomatic screenplay which was of course a major challenge during the second Indochinese conflict what we know as the Vietnam War, Sihanouk had to compose with the communist powers, with the western powers as well. Sihanouk was not an ideologist in the sense of the cold war. Sihanouk had the task to preserve the independence and the sovereignty of Cambodia and he chose his friends where he could. He often compared Cambodia to the ant in the middle of the elephants’ fight: the ant had to stay at a reasonable distance from the elephants and to try to persuade them to go fight somewhere else. Sihanouk had to face several attempts of coup d’état like Sam Sary and Dap Chhuon(1959) where the involvement of the CIA together with the Thai and the republic of Vietnam is beyond doubts. During the late 60s as the Vietnam War was raging, and it was more and more uneasy for Sihanouk to preserve his neutrality. French President Charles De Gaulle had supported him with his huge speech in the Olympic stadium. For De Gaulle, Sihanouk was the only person able to handle that very difficult situation. The situation was indeed difficult and Cambodia’s neutrality was threatened by the very existence of the Ho Chi Minh trail which went through an important section of Cambodian territory and Vietcong units were using Cambodia as a sanctuary. What could Sihanouk have done? He was aware of the situation and, contrary to his Cambodian right wing, he had already understood that a military solution was totally unrealistic: only through negotiation could a solution emerge. Again and again, Sihanouk can be credited with a deep intelligence of the situation and this is all the more obvious in the light of the events which followed. As Sihanouk went to France for a holiday in 1970, on March 18 Sihanouk’s right wing government in Phnom Penh, staged a coup d’état. The circumstances in which the coup was performed are still not entirely clear especially about the degree of US involvement. One thing is sure: as the US were contemplating to withdraw their ground troops from South Vietnam, it is difficult to imagine them masterminding a coup d’état in Cambodia. But the fact that the CIA was well aware of what was brewing in Phnom Penh is also beyond doubt. The coup d’état displayed a high degree of political stupidity: Lon Nol was engaging with a country that had already decided to withdraw its forces from Southeast Asia. The coup d’état was clearly a parricide and its perpetrators displayed a stunning naivety in thinking that the population would follow them. To be convinced of it, we need only to read what the members of parliament declared the night they overthrew Sihanouk’s regime. They were so outrageous and hysterical in accusing Sihanouk of all the crimes: Sihanouk had had an evil behavior, he was responsible of all what had happened, he had destroyed Cambodia’s morality, had betrayed the country… This hysterical behavior from men who had been not long ago Sihanouk’s faithful followers is an obvious way to justify themselves of the crime just committed. What they held against Sihanouk is so enormous that it cannot be taken seriously. Sihanouk went to Beijing and on March 23 1970 he announced his intention to establish a National United Front of Kampuchea. This government was a combination of all the various strength which openly opposed Lon Nol regime which a few months later abolished the Monarchy and gave birth to the Khmer Republic. The game was perilous. There was already a Khmer Rouge presence in the government. That presence was very discreet in the beginning, mainly with personalities with a high degree of education who appeared as acceptable representatives. In February 1973, after the Paris agreement had been signed between Henry Kissinger and Le Duc, Tho the bombing of North Vietnam had to stop immediately. The US high command turned then the entire US air bombardment campaign onto Cambodia. From Feb 1973 to July 1973, 200,000 tons of bombs were dropped on Cambodian territory. It is at precisely that time (late February 1973) that the North Vietnamese and the Chinese organized a trip of Sihanouk right inside Cambodia. They used the Ho Chi Minh trail and jungle trucks to bring him right in the middle of Cambodia where he had photographs taken with the Khmer Rouge leaders: Khieu Samphan, Hu Yuon, Hu Nim and a character that according to Sihanouk was only 3rd or 4th rank in the hierarchy: Saloth Sâr who later became known by the name of Pol Pot. Sihanouk appeared as the leader of the forces fighting Lon Nol’s Khmer Republic. Sihanouk was too smart not to understand the situation. These Khmer Rouge people who had always been politically and military insignificant became overnight important because they had known how to use the aftermath of the coup d’état of March 18 1970. Instead of talking of Communism, they advocated the return of Sihanouk’s regime. Let’s bring back Sihanouk to power was an outstanding motto: in the context of a civil war, Sihanouk’s regime was considered as a paradise on earth, and many people joined the Khmer Rouge for that reason. Sihanouk understood that, he knew very well what was going to happen: once the Khmer Rouge got what they wanted they would get rid of him. The message of Sihanouk March 73 trip is simple: the republican government was unable to control most of Cambodian territory, as an evidence Sihanouk could have his photograph taken right in the central part of Cambodia. From this point of view, Sihanouk’s trip was a success. But Sihanouk was also supposed to meet his Cambodian people, and this was a total failure. The only Cambodian people he could meet were Khmer Rouge. Back to Beijing, a subtle diplomatic game began. Sihanouk was closely watched by the Khmer Rouge and Ieng Sary had been appointed to keep an eye on him. The Khmer Rouge counted on a total military victory in order to get the power without having to do any concessions: negotiations had to be avoided at any cost. The French even had the project to bring Sihanouk back to Cambodia and that would have meant the end of the war. Unfortunately, both the Khmer Rouge and Nixon, followed by President Ford refused it. By the time the US accepted that solution in early April 75, it was too late. April 75 was the beginning of a nightmare which was to last 3 years 8 month and 20 days. Sihanouk was then allowed to come to Phnom Penh, in Sept 75, where he spent 16 days. According to his functions he was head of the state. He then left again for a diplomatic tour to the United Nations, and a number of countries such as Rumania, Yugoslavia, China and North Korea. Meanwhile the news had begun spreading over the reality of the Khmer Rouge regime and Sihanouk contemplated his resignation. He finally decided to go back to Phnom Penh “because of his love for his people and his need to share their fate”. One thing is sure: when he arrived in January 1976, he had no illusions about the real nature of the KR regime. On April 2 1976 his resignation was accepted. After that, he remained in his palace with his wife and his two children Narindrapong and Sihamoni. The other members of his family who came to PP with him were transported away from the city and killed. Sihanouk was then like a prisoner in his royal palace. He described this period in his book “Prisoner of the Khmer Rouge”. As the noise of the Vietnamese guns could be heard from Phnom Penh in early January 1979, Pol Pot paid Sihanouk a visit for the first time. Sihanouk would later recall the impressions of the four-hour talks. Pol Pot appeared to him as a charismatic personality, a kind of Bluebeard who would seduce his victims with his soft voice and his gentle manners. Pol Pot asked him to take the last plane to Beijing and then to go to the United States to defend Cambodia’s interest. Sihanouk had no other choice but to accept and on January 6, he fled out of Phnom Penh one day before the Vietnamese army reached the capital. On January 8 Sihanouk arrived to Beijing where he held a press conference. Sihanouk then faced a terrible dilemma: on the one side, he had to condemn the Vietnamese invasion of Cambodia, on the other he could not refrain from denouncing Pol Pot and his regime. One day later he let to the United Nations where he was closely watched by the Khmer Rouge in New York. Sihanouk then tried to defect from the Khmer Rouges and was finally convinced not to do so by the Chinese. He was then offered by Deng Xiao Ping a residence in Beijing where he settled in February 1979. At that time, most observers considered that his leading political part had reached an end. This was underestimating Sihanouk. At the beginning it was no question for him to collaborate with his former jailers who were responsible of the death of hundreds of thousands Cambodians, amongst them members of his family who came back to Phnom Penh with him in 1975. The old dialectics between the part a statesman is expected to play and his personal feelings was at work. Again Sihanouk didn’t hesitate very long and on June 1982 the Coalition Government of Democratic Kampuchea (CGDK) was formed in Kuala Lumpur: Sihanouk called it “a pact with the devil”. Sihanouk could then depart from his own diplomatic strategy. The conjunction of two facts is essential to understand what followed: Sihanouk diplomacy and the fact Gorbatchev’s Soviet Union didn’t intend to support the Vietnamese military adventures in Cambodia forever. All the Cambodian factions then agreed on the sending of UN forces to Cambodia in 1992 to organize the May, 1993 election. The Paris International Peace Conference could take place on October 23 1991 and 19 nations attended it. After the United Nations Transitional Authority for Cambodia (UNTAC)-sponsored elections took place in May 1993, the Members of Parliament voted a special motion to grant Sihanouk “full and special powers” and all the members of the assembly declared that the March 18 1970 coup d’état had illegally stripped the Prince from his functions of Head of the State. On September 24 1993, Sihanouk was re crown as King of Cambodia more than 38 years after he had abdicated. Sihanouk was then a constitutional monarch who could rule but not govern, although he was the commander of the armed forces and could use a veto over the appointment of ministers and judges. In 2003 Sihanouk expressed his will to retire. He did not abdicate and Sihamoni was elected as the new king by the crown council. Sihanouk didn’t remain inactive. He went on publishing on his website explaining his vision of the course of Cambodian history. On October 15 2012 Norodom Sihanouk’s time on planet earth ended. Milton Osborne’s book “Sihanouk prince of light, Sihanouk prince of darkness” reminds us that Sihanouk’s life and deeds are not solely a rosy picture. As a king and mainly as a prince after his abdication to become the head of the state, the vision the people had of Sihanouk has always been strong and uncompromising: faithful followers and implacable enemies. A moralistic approach wouldn’t allow us to understand such an outstanding personality. For the analyst, the many sided aspects of his character and his numerous activities generate confusion: what does the movie maker has to do with the statesman? Yet it is not Sihanouk’s personality that is paradoxical, but Sihanouk’s life and deeds display an incredible capacity to integrate paradoxes into an art of governing. De prime abord que penser de la complexité extrême d’un homme qui accède au trône en 1941, qui abdique en 1955 pour pouvoir occuper ensuite les fonctions de chef de l’état, qui sera renversé par un coup d’état en 1970, qui sera à nouveau couronné en 1993 et qui prendra sa retraite en 2003? Ce n’est pas tout car Sihanouk a ponctué sa carrière politique de nombreux films, de textes autobiographiques et polémiques et… de chansons. Le terme de paradoxe n’est pas de trop et Norodom Sihanouk semblerait endosser tout naturellement les moments les plus divers et les plus contradictoires qui vont ponctuer son existence. Prudence oblige cependant et le conditionnel reste de rigueur car, comme nous le verrons, les exercices de style auxquels il se livre sa vie durant ont une finalité: celle que leur prête un homme d’état et un politicien hors du commun qui sera constamment au service du Cambodge dans les heures les plus tragiques de son histoire. Selon lui, parce que l’épouse du gouverneur général de l’Indochine, l’amiral Decoux, le trouvait mignon. Ce n’est sans doute pas cela qui a emporté la décision de l’amiral Decoux pour qui Sihanouk était vraiment le candidat idéal. Pensez, il aime le sport, les belles voitures, chanter, danser… et la politique ne l’intéresse pas, de ce côté-là pas de danger. Une fois de plus, une belle myopie historique était à l’œuvre. Avec une extraordinaire patience Norodom Sihanouk entretiendra l’illusion le temps nécessaire à l’avènement de circonstances plus favorables. Les Français n’allaient pas tarder à comprendre leur erreur lorsque le 11 mars 1945, Sihanouk, en abrogeant les traités de protectorat de 1863 et de 1884, déclare de facto l’indépendance du Cambodge. Allié théorique de Vichy, le Japon n’avait eu aucun mal à s’installer dans l’Indochine française. Les relations avec les Français vont très vite tourner au vinaigre et le leader pressenti par le Japon, Son Ngoc Than, devra s’exiler à Tokyo après avoir fomenté les manifestations anti françaises de l’été 1942. Son Ngoc Than sera de retour en 1945 et le Japon l’impose au roi Sihanouk comme premier ministre. Le personnage jouit au sein de la population cambodgienne d’une popularité considérable que lui vaut sa réputation de nationaliste intransigeant et convient parfaitement aux projets japonais pour l’Indochine française comme partie prenante de la sphère de coprospérité de l’Asie orientale. L’opposition entre les 2 hommes mérite qu’on s’y arrête. D’un côté, l’idéologue qui entend traduire sa vision dans la réalité sans concession aucune, de l’autre un sens aigu de l’art du possible et une habileté inimaginable à savoir jouer des circonstances. Norodom Sihanouk avait bien mieux compris la situation internationale que son premier ministre: La défaite militaire japonaise était imminente et la France serait bientôt de retour. Sihanouk n’est pas moins nationaliste que Son Ngoc Than mais possède sur ce dernier une qualité maîtresse, celle de ne pas prendre ses désirs pour des réalités. L’indépendance pure et simple n’était alors plus ou pas encore à l’ordre du jour. 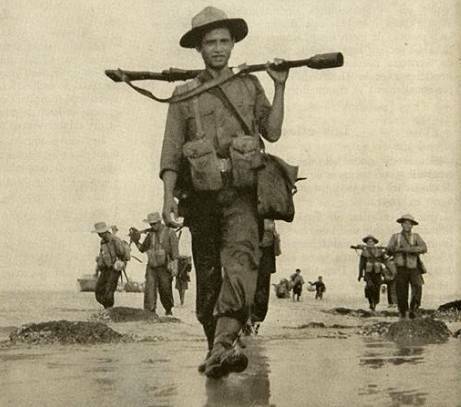 En 1946. les Français qui sont de retour arrêtent Son Ngoc Than et l’exilent en France; Sihanouk est quant à lui maintenu dans ses fonctions. D’un côté, tout semble clair, il a bien été obligé par les Japonais de proclamer l’indépendance du Cambodge, de l’autre la France n’est plus dupe et commence à comprendre que les protestations de fidélité de Norodom Sihanouk ainsi que ses trop fréquentes dénégations à propos des évènements du 11 mars 1945 dissimulent en fait une volonté de prendre en main le destin de son pays. Norodom Sihanouk passera les années suivantes (1946 – 1952) à tenter d’obtenir des concessions de la France. Dans ce qui est aujourd’hui le Vietnam, le 1er conflit indochinois a déjà débuté. Au Cambodge, la situation est des plus tendues : des portions entières du territoire, comme la région de Pursat ou le Sud-Ouest sont dominées par les Khmers Issaraks. Le parti démocrate, tout comme le parti communiste indochinois ont au cœur de leur programme une indépendance qui semble désormais à portée de main. Puisque l’indépendance ne fait plus de doute, la question décisive pour l’avenir du Cambodge était de savoir qui l’obtiendrait, quand et surtout comment. De nouveau, Sihanouk va mener un jeu hors pair. La pièce en 4 actes qui va suivre sera écrite et magistralement mise en scène par Norodom Sihanouk. Grâce à son intercession, il obtient le retour de Son Ngoc Than de France. Le jeu est dangereux car le radicalisme de Son Ngoc Than reste très populaire et Norodom Sihanouk le sait. Sihanouk commence par inviter Son Ngoc Than à négocier. Pour une personnalité qui a bâti sa carrière politique sur le refus des concessions, la négociation est par essence un exercice périlleux et le risque de décevoir ses partisans est bien réel. Comme Sihanouk tergiverse et ne lui offre pas de position proéminente, Son Ngoc Than déçu est contraint de rejoindre les maquis de la guérilla Issarak, ce qui de fait permet à Norodom Sihanouk d’apparaître alors au monde comme détenteur d’une solution pacifique et réaliste. Le 4ème acte débutera en juin 1952, lorsque Norodom Sihanouk lance sa croisade royale pour l’indépendance qui le mènera à Washington, Paris et Bangkok. Le message est simple : « Négociez avec moi maintenant ». Le message est entendu par la France et le 9 novembre 1953 le Cambodge obtient une indépendance qui sera reconnue internationalement au terme de la conférence de Genève en juillet 1954. Norodom Sihanouk s’est une nouvelle fois révélé comme un joueur d’échecs de niveau supérieur avec de nombreux coups d’avance sur ses adversaires. Sihanouk était auréolé du prestige considérable du père de l’indépendance. Cependant, il restait le souverain d’une monarchie constitutionnelle où le roi n’a d’autre tâche que de régner. On a du mal à imaginer Norodom Sihanouk se contentant d’inaugurer les écoles primaires ou de recevoir des bouquets de fleurs. Norodom Sihanouk voulait gouverner. Il ne s’agit pas d’avoir le pouvoir pour le pouvoir, à ce niveau, la supposition est absurde : Norodom Sihanouk était habité par une vision du Cambodge qu’il entendait traduire dans la réalité. Nouveau coup de poker qui prendra de vitesse tous ses adversaires : le 27 février 1955, Norodom Sihanouk abdique en faveur de son père Suramarit qui devient roi. Devenu simple citoyen, il crée le Sangkum Reastr Niyum (SRN) que l’on traduit par « Communauté Socialiste Populaire », combinaison impressionnante de nationalisme, neutralisme, socialisme, bouddhisme…Plus qu’un simple parti, il s’agissait d’un creuset où se réuniraient toutes les forces vives du Cambodge. Les élections de 1955 donnent une victoire écrasante (83%) aux candidats du SRN. Sihanouk avait alors 33 ans. Dès son accession au pouvoir, Sihanouk fera montre de ses capacités considérables. Un point fort sera la conférence de Bandoeng où Sihanouk rejoindra le mouvement des non-alignés et amorcera un rapprochement avec les pays socialistes. Cela aura pour effet de priver ses adversaires cambodgiens de gauche d’une carte puissante et ils n’auront d’autre solution que de créer un comité de soutien à la politique neutraliste de Sihanouk. Sihanouk transformera le Cambodge en un immense chantier et on peut toujours aujourd’hui contempler les bâtiments de la nouvelle architecture cambodgienne à Phnom Penh et dans les capitales provinciales, ce qui vient nous rappeler à point que de tous les pays d’Asie du Sud-Est, le Cambodge a été le seul à concevoir une modernité architecturale empreinte d’une fonctionnalité remarquable. 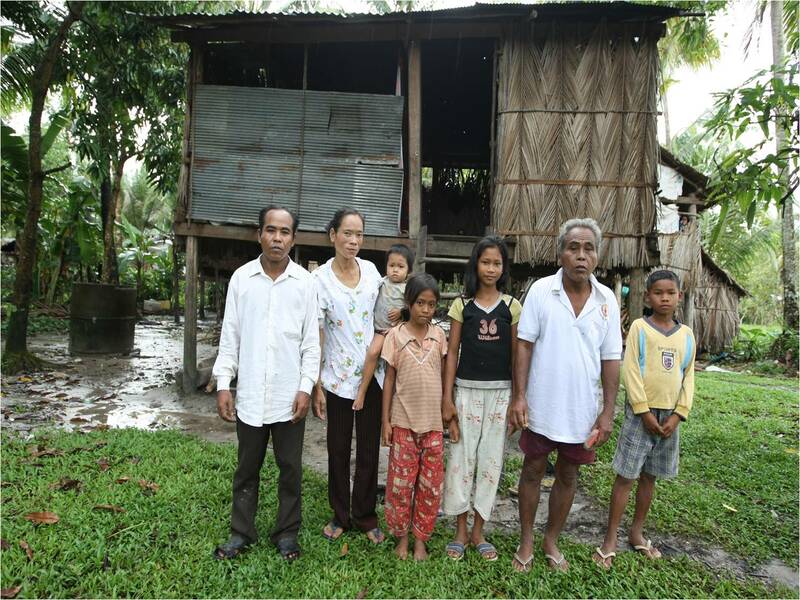 Construire le Cambodge moderne. Au premier plan, les logements pour le personnel de la banque nationale, aujourd’hui l’ambassade de Russie; à droite les appartements du village olympique; à gauche le « Building ». Norodom Sihanouk mettra également un point d’honneur à développer des régions qui avaient traditionnellement été négligées pendant les 90 ans de protectorat français, dont la région de Kampot. 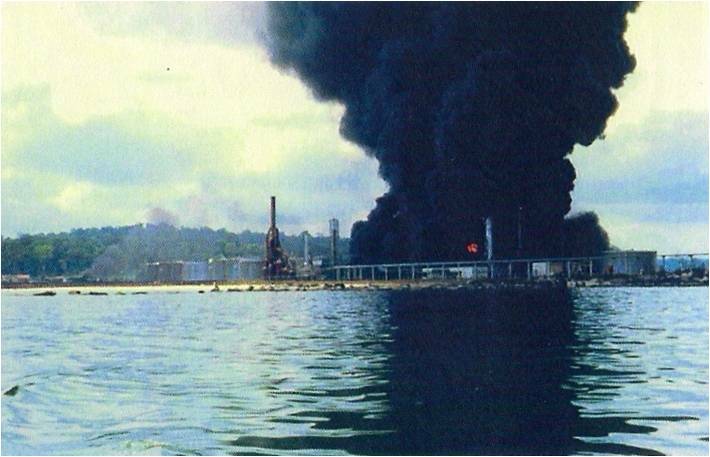 Une des réalisations les plus emblématiques du régime est évidemment l’ouverture du port de Sihanoukville. Sous le protectorat français, la porte d’entrée et de sortie du Cambodge avait purement et simplement été transférée à Saigon : tous les produits importés au Cambodge ou exportés du Cambodge devaient passer par la Cochinchine. La situation était devenue inacceptable pour Norodom Sihanouk qui, au lendemain de l’indépendance, ne pouvait plus tolérer le contrôle de ses navires par les autorités vietnamiennes. En politique extérieure, le jeu est dangereux. Alors que le 2ème conflit indochnois fait rage dans le Vietnam voisin, Sihanouk se doit de composer afin de maintenir en vie la neutralité cambodgienne. 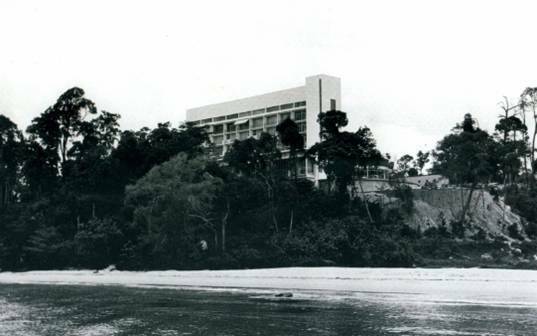 Sihanouk n’avait rien d’un idéologue surtout dans l’acception de ce terme à l’époque de la guerre froide. Dans le but de protéger la neutralité et la souveraineté du Cambodge, il choisissait ses amis où et quand il le pouvait. Il avait comparé la situation du Cambodge à la fourmi au milieu du combat d’éléphants : se tenir à distance respectueuse des pachydermes et leur suggérer d’aller se battre ailleurs. La visite du Général De Gaulle en 1966 et le discours fleuve qu’il prononcera au stade olympique apporteront un bref répit à Sihanouk. La neutralité du Cambodge était difficilement tenable à cause de la piste Ho Chi Minh qui traversait une partie considérable du Nord Est cambodgien et des sanctuaires Viêt-Cong. Sihanouk ne voyait d’autre solution que la négociation Contrairement à sa droite, il avait une conscience aigüe de l’irréalisme d’une solution militaire ; est-il besoin de dire que la suite des évènements lui a plus que donné raison ? Alors que Sihanouk se reposait en France, le coup d’état du général Lon Nol le dépose le 18 mars 1970, quelques mois plus tard, la monarchie sera abolie et la république khmère proclamée. On discute encore de l’engagement des Etats-Unis dans le coup d’état. Un engagement direct paraît douteux, car les Etats-Unis avaient déjà annoncé leur volonté de retirer leurs troupes du Vietnam du Sud. Par contre il ne fait aucun doute que la CIA, qui était parfaitement au courant de ce qui se tramait, a laissé les futurs républicains cambodgiens faire le travail secondés par les Sud vietnamiens. Le coup d’état avait toutes les allures d’un parricide. Pour s’en convaincre il suffit de constater dans les déclarations des députés le ton outrancier, insultant et teinté d’hystérie utilisé à l’égard de Norodom Sihanouk. Si une opposition à Norodom Sihanouk est parfaitement concevable, le contenu des déclarations du 18 mars ne peut évidemment être pris au sérieux : Norodom Sihanouk y est accusé de crimes que 10 vies entières n’auraient pu lui permettre de commettre. Le coup d’état témoigne d’une sottise politique considérable et ses auteurs ont fait preuve d’une immaturité à peine croyable en engageant leur pays dans une guerre au côté des Etats-Unis au moment où ces derniers annonçaient le retrait de leurs troupes du Vietnam. Lon Nol et Sirik Matak avaient confondu les desiderata d’une droite affairiste, évidemment opposée à Norodom Sihanouk, avec la réalité du Cambodge et le réveil sera rude : dès les premiers jours du nouveau régime, l’armée doit réprimer dans le sang les paysans venus manifester en masse à Phnom Penh. Toutes les tentatives de reprendre la situation en main en province seront vouées à l’échec et les négociateurs envoyés par Phnom Penh se feront massacrer par la foule. Afin de détourner le mécontentement occasionné par le coup d’état, les nouvelles autorités prendront pour cible les Vietnamiens désignés d’office comme des agents Viêt-Cong et des massacres auront lieu au village catholique près du pont Chroy Changvar. Sihanouk s’installera à Pékin où il fondera le 23 mars 1970 le Front National Uni du Kampuchéa. Le jeu était dangereux, une présence Khmer Rouge, même modérée, était déjà bien visible au sein du front. Au Cambodge, la guerre fait désormais rage. Suite aux accords de Paris signés par Henry Kissinger et Le Duc Tho et qui mettaient fin aux bombardements du Nord Vietnam, le haut commandement américain tournera son entière puissance de feu sur le Cambodge : de février 1973 à juillet 1973, 200.000 tonnes de bombes seront déversées sur le Cambodge. A titre de comparaison, 100.000 tonnes de bombes seront déversées sur le Japon pendant l’entière 2ème guerre mondiale par les forces alliées. A la fin du mois de février 1973, au plus fort de la guerre, Sihanouk sera amené au Cambodge en plus grand secret par la piste Ho Chi Minh et des pistes dans la jungle et il y passera 3 semaines. Des photos seront prises en compagnie des futurs leaders Khmers Rouges dont Khieu Samphan, Hu Yuon, Hu Nim et un certain Saloth Sar qui, selon Sihanouk, ne présentait que peu d’importance, 3ème ou 4ème rang dans la hiérarchie… En réalité le futur Pol Pot. Sihanouk qui était désormais le chef des forces hostiles à Lon Nol avait parfaitement compris la situation. Les révolutionnaires cambodgiens, qui avaient végété pendant des années sans véritable espoir d’arriver un jour au pouvoir, avaient su tirer profit du coup d’état et étaient du jour au lendemain devenus politiquement importants. L’impact de leur discours sur les masses cambodgiennes était considérable, précisément parce qu’ils avaient su utiliser le nom de Sihanouk et se proposaient de le réinstaller dans ses fonctions. Y avait-il de meilleure propagande dans un pays déchiré par la guerre et à qui le SRN apparaissait désormais comme un paradis sur terre ? Sihanouk tentera à plusieurs reprises de négocier, notamment avec la médiation de la France, mais il était déjà trop tard face aux intransigeances combinées des américains et des Khmers Rouges qui tenaient le terrain et qui craignaient par-dessus toute forme de solution négociée. Phnom Penh devait tomber le 17 avril 1975. En septembre 1975, Sihanouk passera quelques jours à Phnom Penh avant d’entamer une tournée diplomatique de plusieurs mois qui le mènera aux Nations Unies et notamment en Roumanie et Yougoslavie. Très vites des témoignages de rescapés permettent de se faire une idée des réalités effarantes du Kampuchéa Démocratique et Sihanouk n’a plus aucune illusion sur ce qui l’attend. Il rentrera quand même au Cambodge, pour partager les souffrances de son peuple, tout en sachant qu’il ne pourrait pas peser bien lourd dans la balance. De retour au Cambodge en janvier 1976, il occupera brièvement les fonctions de chef de l’état pour en démissionner le 2 avril. Il vivra désormais une existence de prisonnier entre les murs du palais royal avec son épouse et ses enfants Narindrapong et Sihamoni. Les autres membres de sa famille qui l’avaient accompagné à Phnom Penh seront emmenés hors de la ville et exécutés. sa vie de reclus a été raconté dans le détail dans son livre « Prisonniers des Khmers Rouges ». Alors que les troupes vietnamiennes s’approchent de Phnom Penh au début du mois de janvier 1979, Pol Pot lui rend visite et lui propose de prendre le dernier avion pour Pékin afin de rejoindre ensuite les Nations Unies pour y défendre les intérêts du Cambodge. Sihanouk détaillera cet entretien de 4 heures, décrira Un Pol Pot d’une douceur charismatique et le comparera à un Barbe Bleu qui savait si bien endormir ses victimes. Sihanouk tiendra sa première conférence de presse à Pékin le 8 janvier. Le dilemme est terrible : il dénonce l’invasion vietnamienne du Cambodge mais devant un parterre de journalistes, il ne peut se résoudre à passer sous silence les atrocités du régime des Khmers Rouges. Un jour plus tard, il sera à New York pour défendre les intérêts du Cambodge aux Nations Unies, tout en étant étroitement surveillé par ses anges gardiens Khmers Rouges. Après des démêlés avec ses geôliers Khmers Rouges auxquels il tentera d’échapper, Sihanouk se verra offrir par Deng Xiao Ping une résidence à Pékin où il s’installera en février 1979. Sa carrière politique semblait désormais terminée à la plupart des observateurs ; c’était mal le connaître. Initialement, il ne pouvait être question pour lui de collaborer avec les assassins de son peuple. Cependant, la dialectique traditionnelle entre nécessité et volonté était déjà à l’œuvre. Une fois de plus, Norodom Sihanouk allait se trouver pris entre le rôle qu’on attend de la part d’un chef de l’état et les sentiments personnels de ce dernier. En juin 1982, Sihanouk franchira le pas en jouant un rôle déterminant dans la création à Kuala Lumpur du Gouvernement de Coalition du Kampuchéa Démocratique (GCKD). Sihanouk pourra alors donner toute la mesure de son immense talent de négociateur qu’il allait une fois de plus mettre au service du Cambodge. La suite de l’histoire repose sur la conjonction de 2 faits : la diplomatie de Sihanouk et l’élection au poste de 1er secrétaire du PCUS de Mikhail Gorbatchev qui annoncera dès 1986 que le soutien soviétique aux aventures militaires du Vietnam n’était pas éternel. Avec l’organisation de la conférence internationale de paix de Paris à laquelle participeront 19 pays, tout fut mis en place pour la constitution de l’Autorité Provisoire des Nations Unies au Cambodge (APRONUC) et son envoi au Cambodge en 1992 afin d’y organiser les élections de mai 1993. Suite aux élections, les députés voteront une motion selon laquelle le pouvoir instauré par le coup d’état de mars 1970 était illégal et que le pouvoir du Prince Sihanouk était bien le représentant légitime du Cambodge. Le 24 septembre 1993, un peu plus de 38 ans après son abdication, Norodom Sihanouk remontait sur le trône. En 2003, il exprimera sa volonté de se retirer et Norodom Sihamoni deviendra roi du Cambodge. Sihanouk ne demeurera pas inactif pour autant si l’on en juge par ses publications et son site internet. Le 15 octobre 2012, Norodom Sihanouk termina son existence terrestre. Est-ce au fond sa personnalité qui est si paradoxale ? N’aurait pas plutôt conçu et reformulé l’ambiguïté, voir le paradoxe, en art de gouvernement? Un film qu’il dirige en 1993 « Revoir Angkor et mourir » laisse perplexe. Norodom Sihanouk était désormais redevenu un monarque constitutionnel dont les attributs se résument aisément par la formule « régner et non pas gouverner ». Le film n’en laisse pas moins percer une certaine amertume. Un jeune prince atteint d’une maladie incurable est négligé par un entourage qui ne pense qu’à s’amuser alors qu’il se meure. Même sans trop d’imagination, on aura reconnu le personnage de Norodom Sihanouk sous les traits du jeune prince. Et pour lever toute ambigüité, Norodom Sihanouk avait fait jouer dans le film la plupart des ténors du FUNCIPEC de l’époque. Un peu comme dans les années 60, il convoquait des ministres dont Nhek Tioulong, alors ministre de la défense, qu’il avait pris l’habitude d’installer dans le rôle du personnage retors. Y avait-il message dans « Revoir Angkor et mourir » en 1993 ? et qu’elle en pouvait être la signification ? Une première hypothèse offrirait la lecture suivante : Norodom Sihanouk aurait envisagé de participer plus directement au pouvoir et reprochait à son entourage de ne pas lui en avoir laissé la possibilité. Dans cet ordre d’idée, faudrait-il lire que Norodom Sihanouk voyait que son immense capital en matière de gouvernement et de négociations, qu’il avait accumulé en tant d’années, était alors tout à fait négligé ? Ce n’est pas exclu. Une chose est certaine : Norodom Sihanouk connaît parfaitement l’art des possibles comme il l’a amplement démontré. A travers ses films et écrits, il s’est sans cesse expliqué sur ses contradictions. Un film de 1995 « Une ambition réduite en cendres » met en scène un jeune prince qui a été éduqué par un Guru pour un jour accéder au trône et devenir un des plus grands rois du Cambodge. Comme futur roi, il est l’incarnation d’un dieu qui doit se tenir à l’écart du monde des humains, mais l’amour qu’il éprouve pour une jeune paysanne le ramène à l’humanité. Le prince a finalement et contre l’avis de son Guru une relation avec la jeune paysanne et au terme de la nuit son corps n’est plus qu’amas de cendres. Là encore, il n’est pas difficile de voir dans le prince une représentation de Norodom Sihanouk et de la contradiction dont il est le lieu entre l’austère nécessité des activités gouvernementales et les plaisirs de l’existence. On aurait toutes les bonnes raisons de penser qu’après la rupture violente et inédite qu’opère le régime khmer rouge en matière d’éducation, la compréhension du système éducatif contemporain du Cambodge pourrait très bien se passer de son histoire. Ce serait un nouvel avatar de la myopie historique concernant le Cambodge ; la violence du régime khmer rouge ne l’isole pas du flux de l’histoire cambodgienne et, même en matière d’enseignement, il s’inscrit, certes avec une radicalité propre, dans la logique de la rupture qui marque l’histoire de l’éducation au Cambodge. 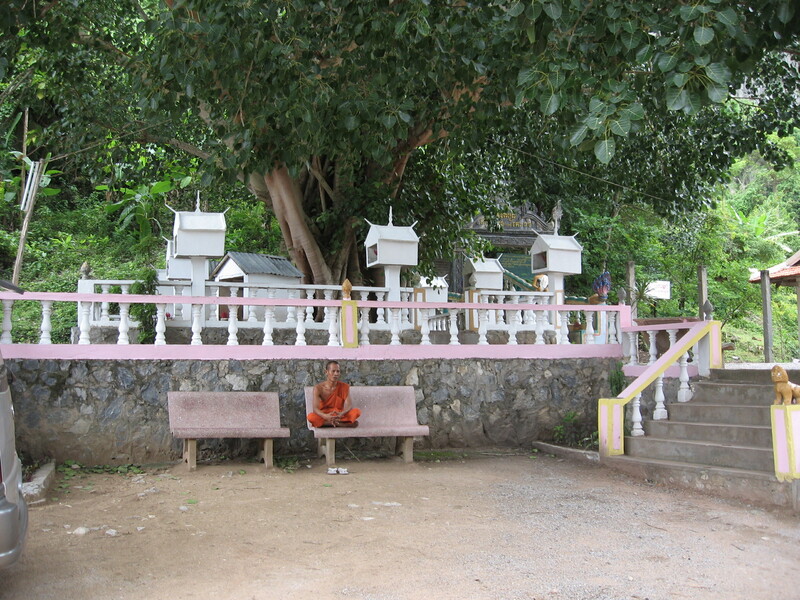 A l’origine était la pagode ; centre de formation moral et social, la pagode était à l’échelle du village le lieu exclusif d’éducation. On connaît bien les principes de base du type d’enseignement dispensé dans les pagodes : la répétition de maximes souvent tirées de Cbap ; ces derniers sont des textes didactiques versifiés contenant des messages moraux normatifs et des principes de comportement social destinés plus à être écoutés et appris par coeur qu’a être recopiés. Le protectorat va inaugurer dès le début des années Vingt un nouveau système en introduisant dans les écoles de pagode un enseignement séculier qui contiendra, en sus des matières traditionnelles, de l’arithmétique, du français et de la géographie avec une importance toute particulière conférée à la cartographie ; le protectorat entendant bien marquer les limites du Cambodge. Les textes de l’époque justifient cette nouvelle politique en faisant bien sûr état de déficiences graves en matière éducative qu’il s’agit d’éradiquer, mais la motivation première, elle politique, semble être la remise au pas de la communauté des moines (Sangha). Le protectorat opère une double rupture : d’une part en opposant enseignement traditionnel à enseignement modernisé dans le cadre du système des écoles rénovées de pagodes, d’autre part en instaurant des centres d’enseignement bien français destinés à la formation des cadres locaux du protectorat. Le système ne s’imposera pas sans les heurts dus à la résistance du Sangha qui ne voyait pas de gaieté de coeur une partie de ses prérogatives lui échapper, mais dus aussi à la résistance de Cambodgiens qui avaient bénéficié d’une éducation française dont le prince Areno Yukanthor pour qui l’éducation traditionnelle était destinée « à nous maintenir dans l’ignorance ». Le Sangkum Reastr Niyum (1955 – 1970) du prince Sihanouk hérite d’une situation peu brillante. Les statistiques d’avant guerre sont éloquentes : en 1932 – 1933, le pays comptait 225 écoles rénovées de pagodes, ce nombre va s’élever à 908 en 1938 – 1939. Le nombre des écoles publiques franco khmères est de 18 pour toute la période 1932 – 1939, alors qu’il était originellement prévu de transformer les écoles rénovées de pagodes en écoles publiques franco khmères, ces dernières offrant un cursus primaire complet. Un cursus complet d’éducation secondaire ne sera offert qu’en 1935 date à laquelle le collège Sisovath deviendra lycée. Suite aux recommandations de l’UNESCO, une véritable révolution se produit dans l’éducation dès les premières années qui ont suivi l’indépendance ; entre les années 1955 – 1956 et 1957 – 1958, le nombre des écoles rénovées de pagode augmente de 47 alors que pour la même période les écoles publiques khmères (en fait la nouvelle dénomination des écoles publiques franco khmères sans modification de cursus) passent de 1352 à 1653. Dans le domaine de l’éducation supérieure, les chiffres sont encore plus éloquents : on passe de 11 établissements en 1956 à 18 en 1958 et à 29 les années suivantes. 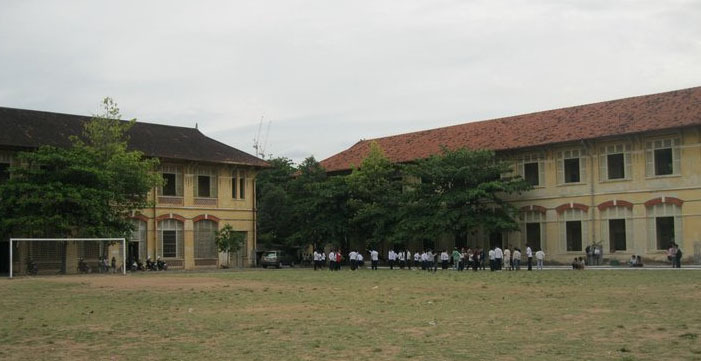 L’état cambodgien fera aussi un grand effort en matière universitaire : expansion de l’université de Phnom Penh, construction des universités de Takéo – Kampot et de Batdambang. La rupture avec la période précédente est manifeste : 432649 étudiants tous niveaux compris en 1956 pour 1160456 en 1969. Pourtant la période du Sangkum est considérée comme un échec sur le plan de l’éducation. David M. Ayres en a proposé une analyse selon laquelle « dans toutes les nations nouvellement indépendantes d’Asie et d’Afrique, le développement de l’éducation a reposé sur la promesse d’un développement rapide et d’une modernisation. Les richesses attendues n’ont pas été au rendez-vous et une insatisfaction en a résulté… ». Le système éducatif du Sangkum était pris en étau entre modernité et tradition ; la volonté de modernité s’est traduite en une politique éducative inappropriée aux besoins économiques d’un pays où 80% de la population tirait ses revenus d’activités agricoles et Ayres de conclure que : « la vision que les étudiants avaient de leur futur provenait de la nature même du système éducatif alors que les capacités sociales et économiques du pays étaient incompatibles avec leurs aspirations ». En bref, l’éducation a été vite vue comme le moyen d’échapper à sa condition paysanne pour devenir un col blanc alors que, dès le début des années Soixante, l’état ne pouvait plus absorber de fonctionnaires ; ce phénomène a été magistralement analysé par Pomonti et Thion dans leur ouvrage « Des courtisans aux partisans ». Un élément également important de l’époque du Sangkum a été l’échec d’une khmérisation globale de l’enseignement. La République Khmère qui suivra le coup d’état de 1970 sera en proie à la guerre civile et, en dehors de Phnom Penh et des capitales provinciales, l’état n’aura guère le loisir d’innover en matière d’éducation. Le Kampuchéa Démocratique (1975 – 1979) a proscrit toutes les activités intellectuelles, au premier rang desquelles l’éducation. La question se pose de savoir si une éducation traditionnelle avait été conservée dans certaines zones du pays et certains textes font état de quelques reliquats sans être plus diserts. Les quelques visiteurs étrangers (dont Gunnar Bergstrom) ont ramené des photos de salles de classe, mais on sait aujourd’hui qu’il s’agissait de pure propagande. Une chose en tout cas certaine est la fermeture de toutes les écoles et la quasi mise hors la loi des enseignants dont une proportion majeure ne survivra pas à l’époque khmère rouge. 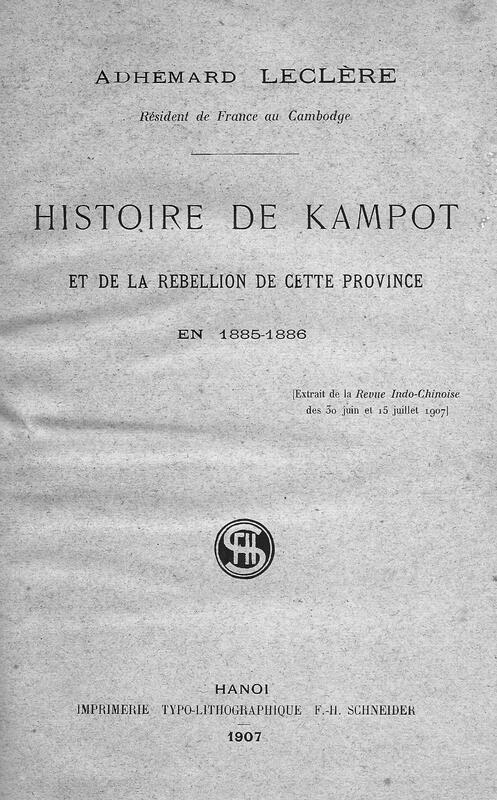 La République Populaire du Kampuchéa (RPK) qui suivra la chute du Kampuchéa Démocratique devra faire face à un dénuement indescriptible dans le domaine de l’éducation : manque criant de cadres, de locaux et de matériel éducatifs. Une grande partie des enfants en âge d’être scolarisés n’a pas eu accès à l’éducation pendant la guerre civile (1970 – 1975) et quant au régime khmer rouge, sa conception de l’enseignement s’était réduite à des séminaires d’endoctrinement. Pourtant, dès 1979, la machine se remet en route et on recommence à enseigner dans des conditions aujourd’hui à peine imaginables; dans les locaux encore utilisables des anciennes écoles, mais aussi dans les rues, les fonctionnaires et enseignants qui ont survécu font preuve d’un dévouement exceptionnel en enseignant même la nuit. L’histoire de la politique éducative de la R.P.K. reste à faire ; un coup d’oeil laudatif sur l’éducation de la période 1979 – 1992 est intégré aux analyses politiques et économiques que Michael Vickery fait de la R.P.K. et une évaluation plus complète et mesurée nous est donnée par Margaret Slocomb dans « The people’s republic of Kampuchea ». En tout état de cause, c’est en l’espace de 12 ans que le système éducatif cambodgien a été restauré. Les critiques sont nombreuses; ainsi une volonté de rompre avec un passé pourtant lointain s’est traduit par un bannissement des langues étrangères traditionnellement enseignées au Cambodge : le Français, l’Anglais et le Chinois. Les professeurs qui ont survécu à l’époque khmère rouge ne manquent pas de raconter les séances secrètes d’enseignement de ces langues dans des appartements privés à la tombée de la nuit. Le rétablissement du Royaume du Cambodge correspond aussi à une rupture dans l’organisation du système éducatif. Dès 1993 – 1994, la question de l’éducation est prioritaire, mais sur un mode inédit à la logique souvent désarmante ; désormais, le ministère de l’éducation est assisté d’un grand nombre d’opérateurs internationaux : banque mondiale, organisations internationales, coopérations étrangères diverses et, bien sûr, les ONG dont beaucoup se sont découvertes des compétences en matière éducative ; chaque officine ayant sa conception à proposer, le risque d’une cacophonie est bien réel. Même s’il est trop tôt pour proposer une évaluation globale des 19 ans écoulés, des problèmes graves demeurent dont un analphabétisme récurrent n’est pas le moindre. Dans ce domaine, il est difficile de faire état de statistiques fiables, quoique le chiffre de 30% d’illettrés ait été souvent mentionné. Une question également lourde de conséquences pour le futur est l’indexation des cursus élaborés ces dernières années aux besoins réels du pays. 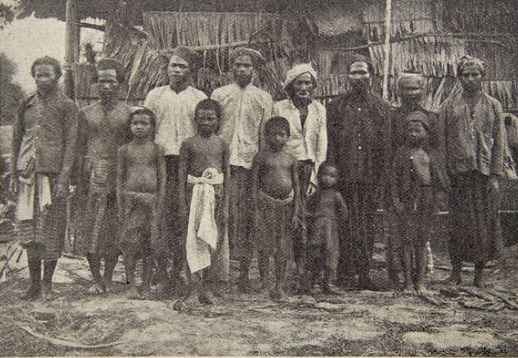 Approchée d’un point de vue historique, l’éducation au Cambodge s’inscrit dans une logique de ruptures et se singularise par rapport aux pays voisins en restant, aujourd’hui encore, très largement tributaire des handicaps occasionnés par l’histoire récente du pays. 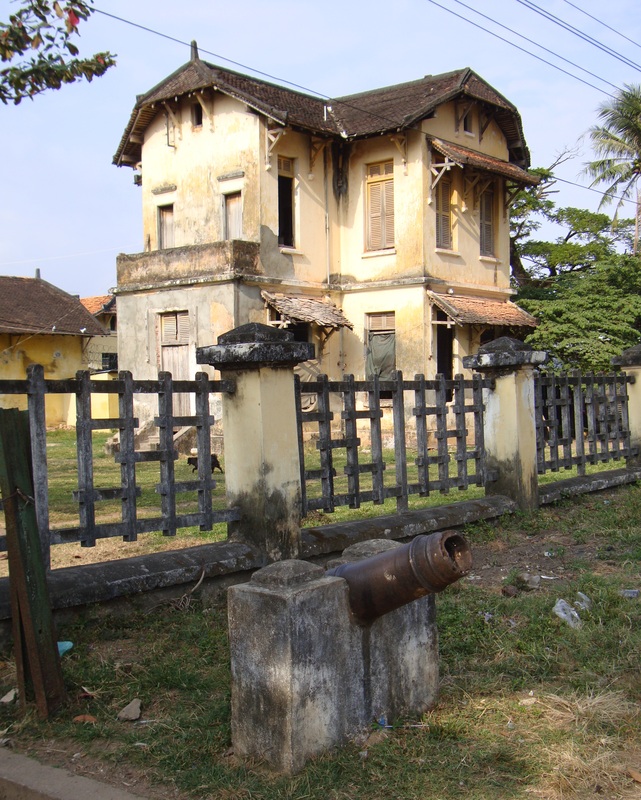 Ce texte est le premier volet d’une série hebdomadaire sur le projet de musée de la région de Kampot. Son but est de susciter intérêt et soutiens pour ce projet. 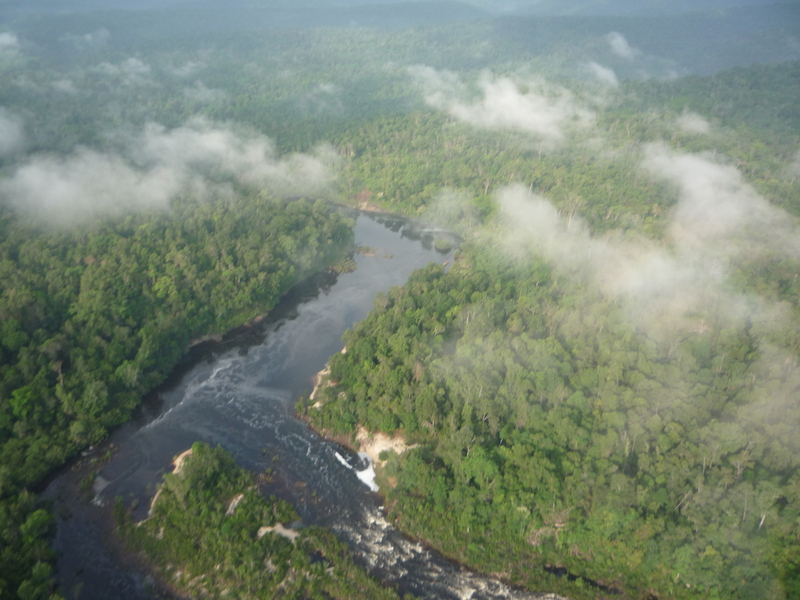 Dans ce texte, la région de Kampot doit se comprendre comme un ensemble naturel dont les limites historiques et géographiques n’ont plus grand chose à voir avec la nouvelle configuration imposée de facto par la création récente des provinces de Kep et Kompong Som. 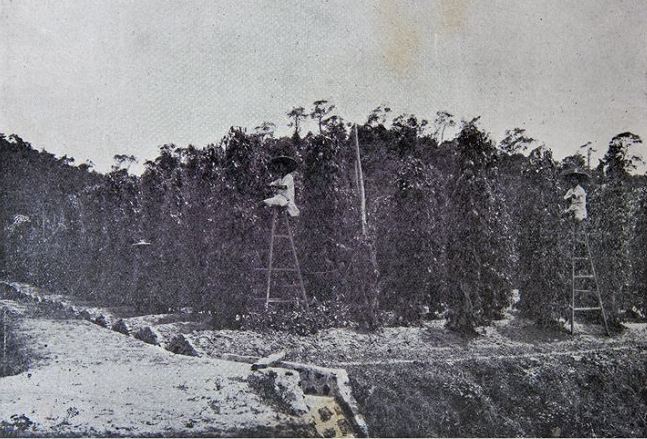 Dans notre acception, cet ensemble est circonscrit par la ville de Tani au nord, la mer et les îles (dont Koh Trâl – Phu Quoc) au sud, Ha Tien (aujourd’hui au Vietnam) à l’est et les contreforts des Cardamomes à l’ouest. 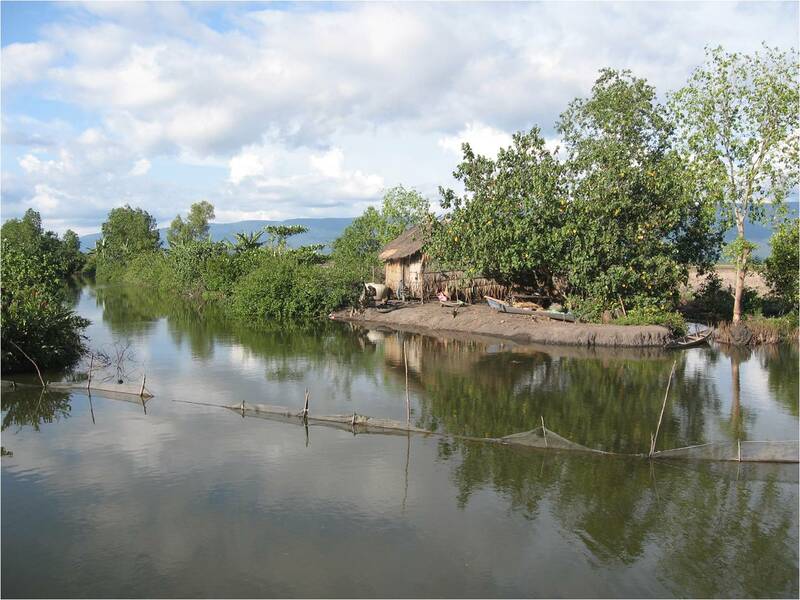 Dans cette optique les villes de Kep et de Kompong Som, quoique nouvellement constituées en provinces, sont intégrées à la région de Kampot. L’identité de cette région est particulièrement marquée par l’histoire mouvementée de ses rapports avec les pouvoirs de tutelle qui se sont succédés depuis le début de l’ère chrétienne : à des périodes d’intégration vont succéder des périodes d’isolement. Pendant la période préangkorienne, cette région est un appendice du royaume du FUNAN. Trois temples troglodytes principaux (Phnom Chhgok, Phnom Totoeung et Phnom Khjang) en témoignent ainsi qu’un nombre important de sanctuaires secondaires. 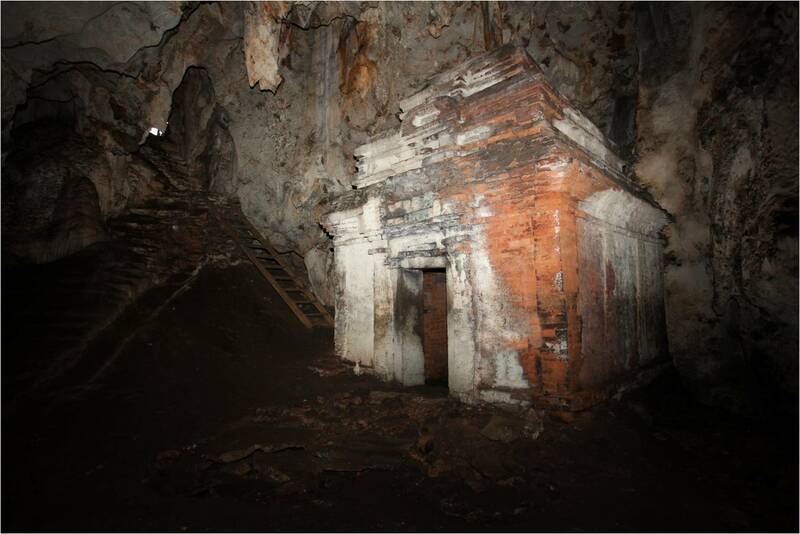 Contrairement à la province voisine de Takeo où des sanctuaires continueront à être construits après le 9ème siècle, la région de Kampot voit son histoire « s’arrêter » à la fin du 9ème siècle avec l’inscription en langue sanscrite et en deux écritures (Pallava et Devanagari) du roi Yaçovarman 1er (K 45). Nous serons dès lors privés de documents écrits au moins jusqu’au 15ème siècle. La région sera ensuite l’enjeu de rivalités importantes qui, à partir du 18ème siècle, opposeront pouvoir central cambodgien et Vietnamiens. L’arrivée massive de Chinois dans la seconde moitié du 17ème siècle aura des conséquences politiques importantes. 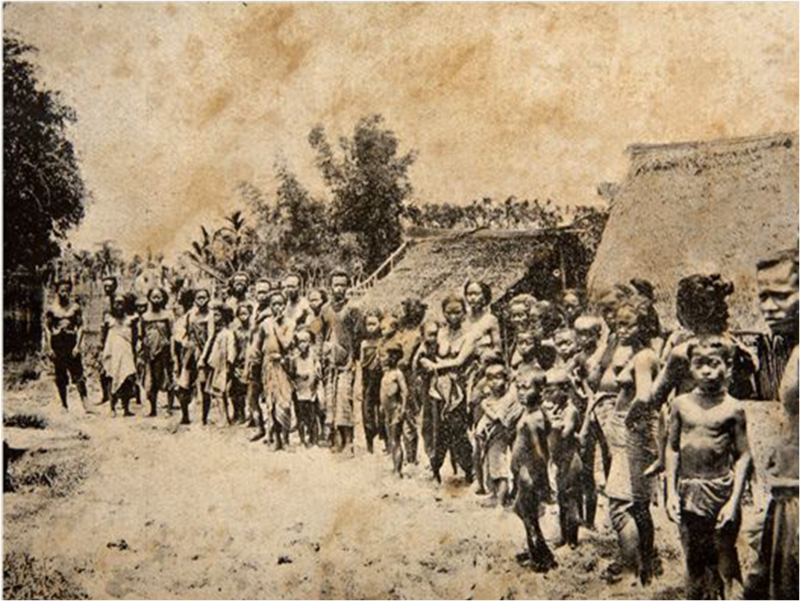 Cette population sera plus prompte à obéir à ses chefs de guerre qu’aux autorités du royaume du Cambodge. 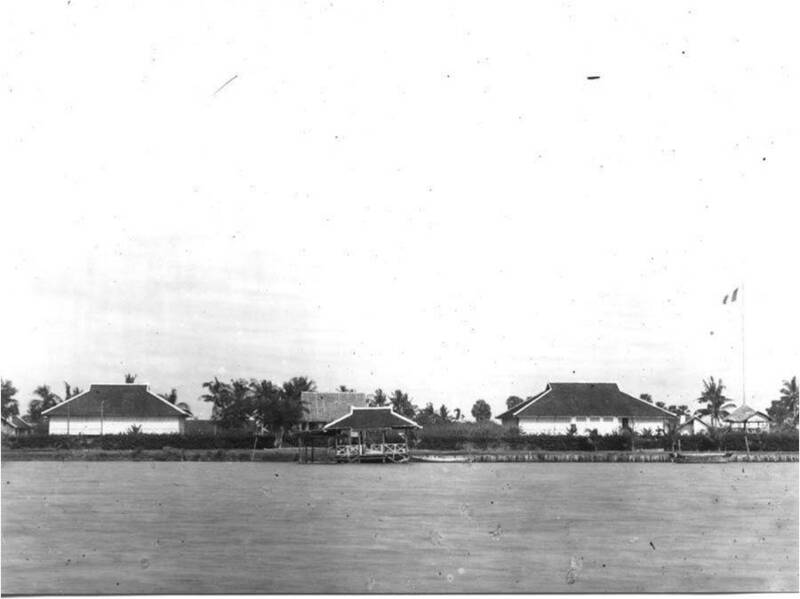 La région voit son importance affirmée à l’époque du roi Ang Duong (1847 – 1860) qui construira un port à Kampot, devenue alors la porte de sortie du Cambodge, et une route pour relier à Oudong, sa capitale, à Kampot. Une nouvelle route Phnom Penh – Kampot sera construite au début du protectorat français (1863 – 1953) ; se trouve ainsi confirmée pour une courte durée l’importance économique de la région et son rôle de débouché pour le Cambodge. Cependant, le protectorat substituera très vite Cholon à Ha Tien comme porte de sortie du riz cambodgien. S’ensuivra dans une région administrativement excentrée une recrudescence des actes de piratage. Cette insécurité atteindra son apogée dans la rébellion de 1885 – 1886 qui sera plus violente que dans les autres provinces. 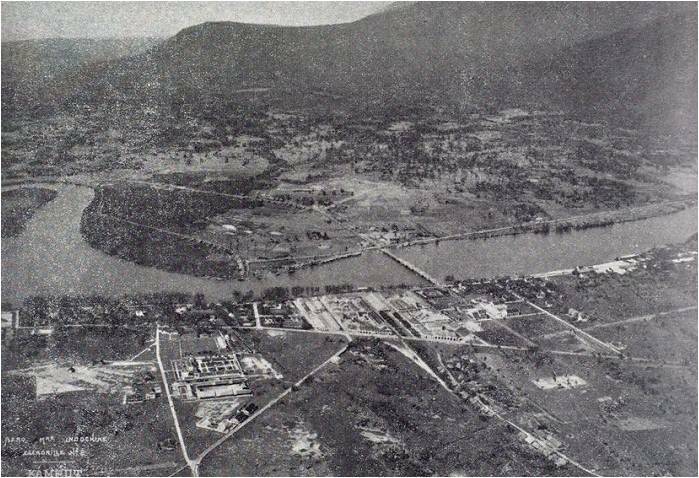 Au développement économique et touristique dans les années 1930 (Kampot, le Bokor et Kep, etc.) va succéder une période d’insécurité au lendemain de la seconde guerre mondiale alors que la France tente de reprendre pied en Indochine. La région est au coeur d’une guérilla Khmer Issarak – Viet Minh qui ne cessera vraiment qu’avec l’indépendance (1953). La période du Sangkum Reastr Niyum (1955 – 1970) continue la politique d’urbanisation et de développement de la région commencée à l’époque du protectorat. Cependant, deux ans après le coup d’état de Lon Nol (mars 1970), la région sera en proie à la guerre civile. Le Kampuchéa Démocratique (1975 – 1979) videra les villes et attèlera la population à des réalisations à la fois grandioses et illusoires comme la digue 75 sur les polders de Pre Nup. Après la chute du régime khmer rouge, la région sera soumise à une insécurité considérable et restera isolée au delà de l’opération de l’APRONUC (1991 – 1993). Dans une vieille logique Sud-est asiatique, ces différentes ethnies vont se spécialiser dans des productions particulières et façonner ainsi le panorama économique de la province. Cette diversité ethnique va de pair avec une grande richesse religieuse où le Bouddhisme côtoie l’Islam et un Taoïsme très particulier. A ces caractéristiques historico-culturelles vient s’ajouter un environnement naturel d’exception ; chaîne de l’éléphant, collines de forêts primaires qui enserrent la ville de Kep, beauté de la côte d’opale, etc. contribuent à faire de cette région une destination touristique de première qualité. Il importe donc de mettre en place un espace d’exposition qui rende compte des caractéristiques de cette région et qui atteste de la valeur d’un patrimoine à protéger et promouvoir. Contrary to what is implied by general concepts like “Overseas Chinese” or “Chinese emigration”, the Chinese Cambodian community can’t be simply analysed according to a general model of Chinese expatriation or in analogy with the other Chinese communities in neighbouring countries. 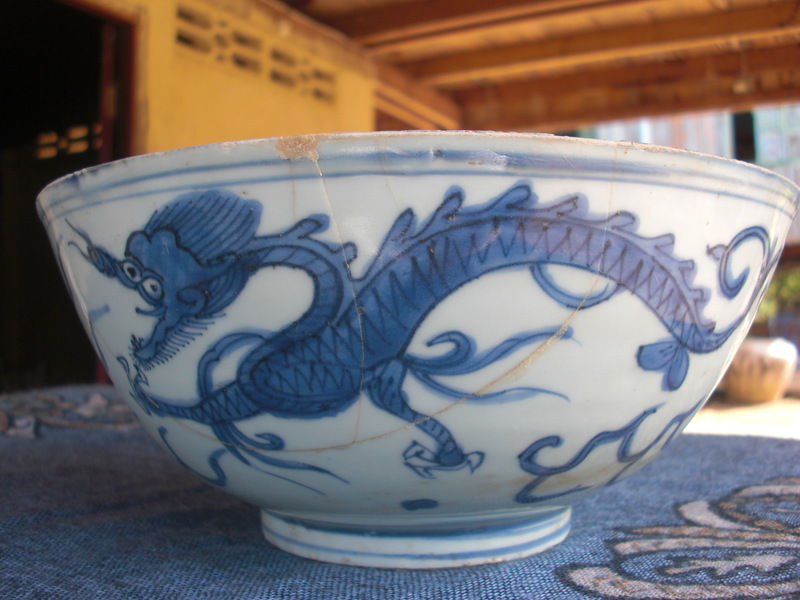 In fact, the distinctive features of a Chinese Khmer community have to be searched for in a three-centuries-old history. Even if it is tempting and maybe useful to refer to such concepts as “Chinese identity in Cambodia” or “Chinese Khmer identity”, it is an essential prerequisite to be clear about the content underlying these expressions. As far as ethnic groups are concerned, there are strong tendencies to consider that the concept of identity relies on immemorial characteristics. In Cambodia, in the case of the Chinese community (or maybe Chinese communities), we would be truly inspired in deconstructing this notion of identity. Identity is a construction and in no way a stable state. This constantly renewed construction has been very much influenced by the policies of the regimes which succeeded one another in Cambodia and which always had something to stipulate about the status of the Chinese who had settled in the Kingdom. In short, from a benevolent acceptance to various degrees of coercion, the Khmer Chinese situation can’t be analysed in the same terms as Vietnamese or Thai Chinese. We can even reasonably wonder if there is such a reality as Cambodian Chinese, when we take into consideration the considerable differences between groups we include conveniently in the label “Chinese”. First, there are language differences. What we call “Chinese language” doesn’t really exist: Mandarin, the official language of the People’s Republic of China and Taiwan, is spoken with many regional differences and the other sinitic languages display as many differences as could be found, let’s say, between English and German. Five of these sinitic languages were and are still spoken in Cambodia. If Khmer and Mandarin are used nowadays as a means of communication between the various Chinese groups, that was not the case not so long ago and two Chinese people who spoke only their own languages were simply not able to communicate. The linguist John DeFrancis was somewhat ironic when writing that “Chinese is not a language but a family of languages made up of a variety of mutually unintelligible languages”. The notion of congregation and its post independence translation, the association, is precisely based on these ethno linguistic differences. 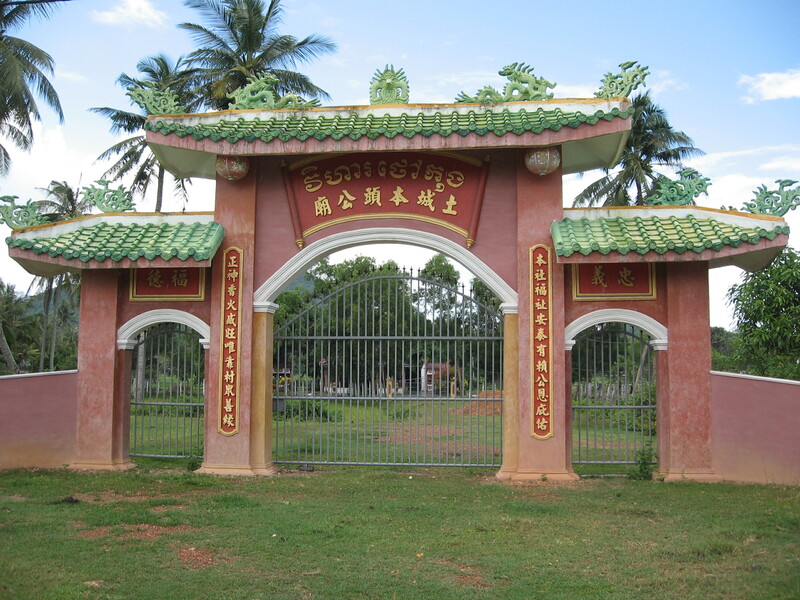 The congregations played an essential part in the organisation of the social and cultural life of Cambodian Chinese. 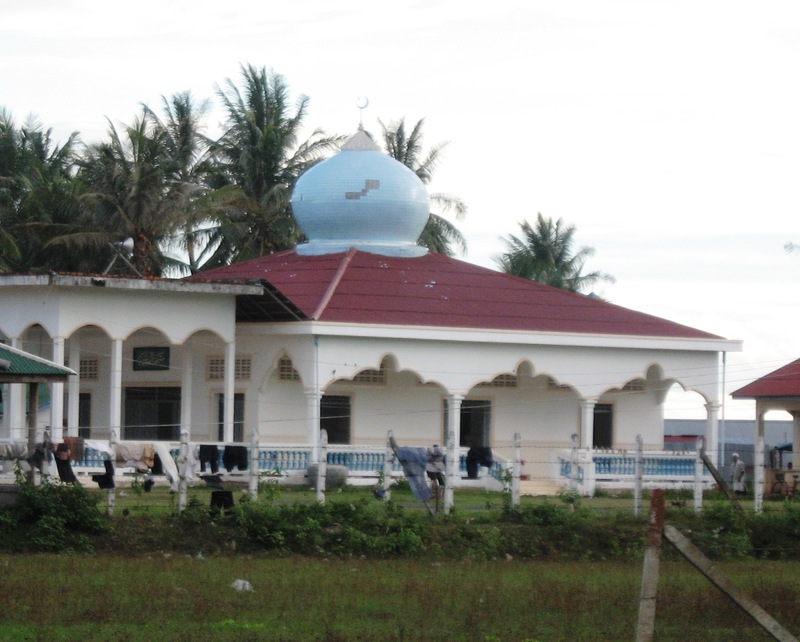 There were five congregations in Cambodia: Teochiu, Cantonese, Hakka, Hokkien and Hainan; the other Chinese groups, too small to set up their own congregation, had to join a congregation of their choice. The frontiers between congregations were strengthened because of the important sociological differences between the various Chinese groups and their distribution by branch of industry: Hainan were café managers and pepper cultivators, Hokkien scrap merchants, most of the garage owners and blacksmiths were Cantonese as well as sculptors, calligraphers and picture framers. This last occupation, very present in the first section of Charles De Gaulle Boulevard, still remains exclusively Cantonese. Teochiu Chinese, the most important Chinese group in Cambodia, has a reputation for being the richest; Teochiu are to be found in all the most profitable businesses, amongst them pawn shops. 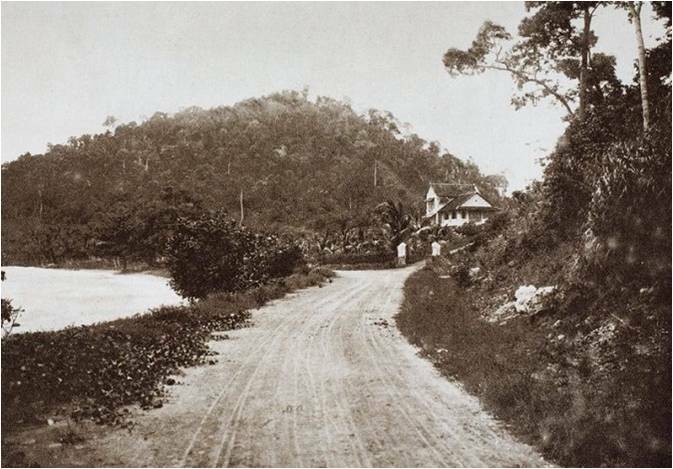 Geographical differences are not the least: Cantonese families have been living in towns for a long time, but many Teochiu have been living in the countryside and still constitute the first link of the rice commerce chain. Marriage is another much debated question – marriages between Khmer and Chinese, but also marriages between Chinese from different communities. Marriages between Teochiu and Cantonese are extremely rare and Hakkanese would but exceptionally marry someone from another Chinese group. The Chinese presence in Southeast Asia is very ancient and exchanges between Cambodia and China date back to the first centuries of the Common Era. 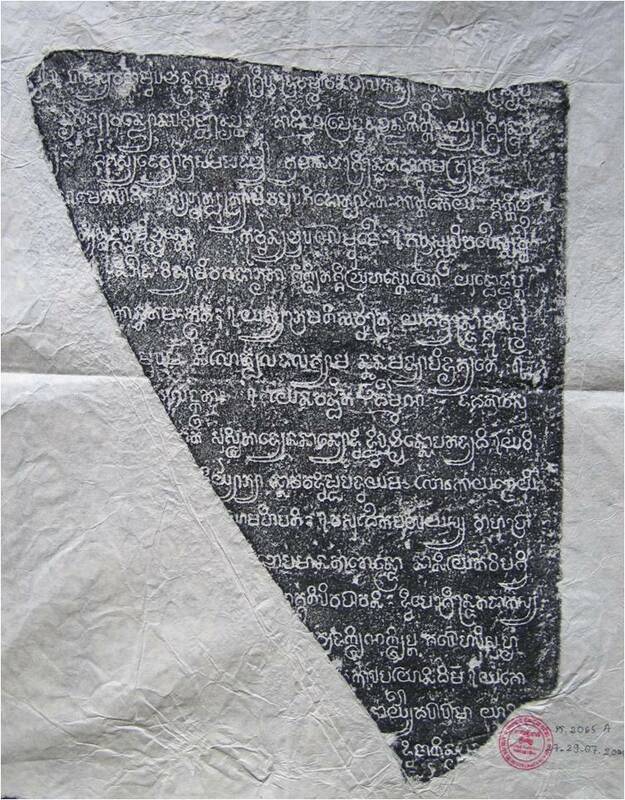 Most of the information at our disposal about the first Hinduised kingdoms (Funan and Chenla) come from Chinese written sources, even if their compilation took place long after the described events occurred. One thing is certain: Preangkorian Cambodia (1st-9th centuries AD) was known to China and there were already Chinese dwellers in the Funan kingdom (1st-7th century). Chinese imperial annals are full of interesting details concerning the relationships between the two countries. For instance, we learn that in 535, Funan King Rudravarman I offered a living rhinoceros to the Jin dynasty Chinese emperor. At first afraid by the strange beast, the Chinese soon learned how to take profit from it. As a result, all the Southeast Asian rhinoceros were transformed into Chinese medicines. Closer to us is A record of Cambodia, the land and its people, written by Zhou Da Guan as he accompanied in 1292-1293 a Yuan dynasty diplomatic delegation which went to negotiate the price of the ransom to be paid to avoid war with Yuan (Mongol) China. Written in the 13th century, this text is the only existing description of the daily life in Angkorian time and it is the reason why it has been so praised. According to the record, there were Chinese settlers and their presence didn’t appear to be marginal. In any case, it is important to notice in the various records the existence of Chinese interests in Cambodia. Understanding the Cambodian Chinese of the present time requires resorting to a three-centuries-old history. It is precisely in this three-centuries time period that emerged a peculiar logic resting on laissez-faire – coercion alternation; the current Cambodian Chinese social space has resulted in many respects from this logical framework. Chinese Cambodian modern history has its roots in the events following the fall of the Ming dynasty in 1644. 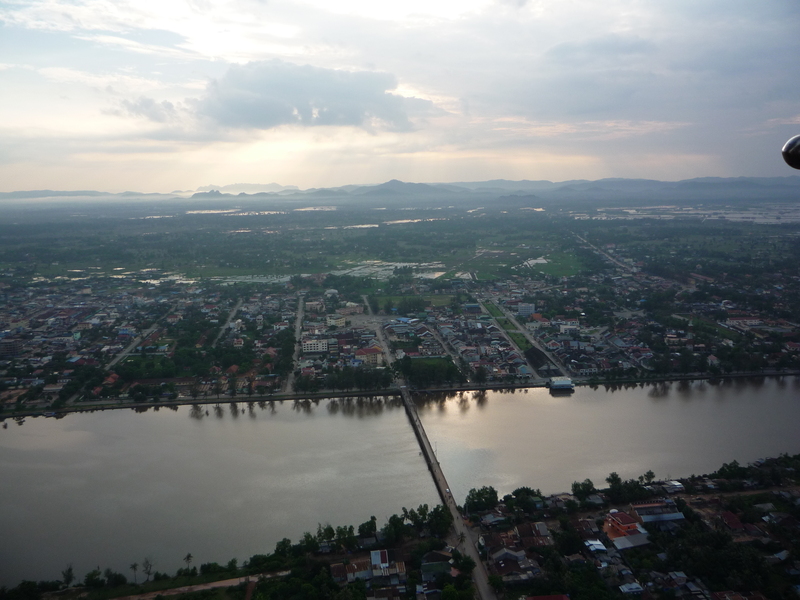 Very important migrations took place in 1679 when Cantonese Ming dynasty loyalist generals gave up the struggle against the newly established Qing dynasty and started emigrating with their troops to the Mekong delta region and the southern part of Cambodia. These mass arrivals of Chinese would have important political and economical consequences. This population was more prone to obey its own leaders than the authorities of the Kingdom of Cambodia. 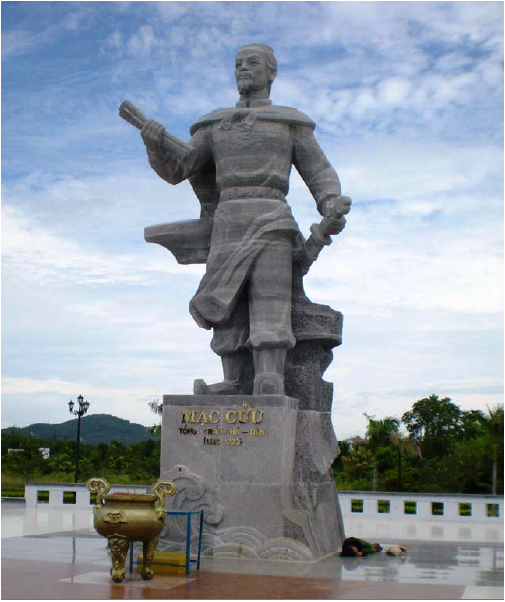 For instance, Chinese general Mac Cuu had exerted such a power over Kampot region for a century and a half that 18th century European travelers went as far as talking about the “Kingdom of Ponthiamas”, or golden fortress. which chose to “assimilate” had access to land cultivation as it was, for instance, in the case of Hakka Chinese in Takeo province, the Hainan Chinese in Kampot province and most of peasant Chinese populations. Another part of Chinese emigration decided not to assimilate; they nevertheless had access to entire fields of the Cambodian economy, like opium and gambling, which were soon under their exclusive control. This situation is all the more advantageous since Chinese, contrary to other foreign community members, could have access to high ranking administrative functions. Following this laissez-faire strategy, the French protectorate (1863-1953) was far less liberal towards the Chinese community. The protectorate authorities worried very much about the lack of control over Chinese activities. In order to put some control in place, the authorities had to rely on the congregations which were going to play a key part in setting up this new policy. In the case of a dispute where a Chinese was involved, the French protectorate authorities didn’t intend anymore to be dealing with individuals – from then on it was the duty of the five congregations to solve the problem. 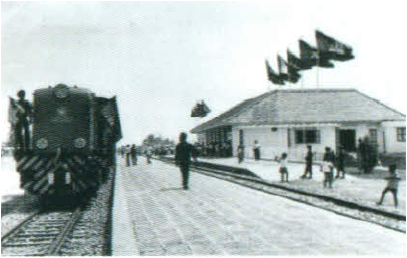 This system is not new but remarkably efficient; on the one side, it implied very limited means from the protectorate as the congregations did the job in exchange for a large autonomy offered to them and, on the other side, it contributed to atomise Chinese social space into smaller ethno linguistic communities with sectional demands. The fact Chinese people were very actively present in commercial activities was a cause for concern. William Willmott, the famous anthropologist of Chinese people in Cambodia, had analysed the Chinese Cambodians with the notion of “plural society”. Coined by American anthropology in the ’50s, the concept of “plural society” characterises a society where the economic roles are based on ethnicity. It’s always the same old story: the Khmer is a rice cultivator and the Chinese a trader. In his masterpiece Le Paysan Cambodgien (The Cambodian Peasant), even Jean Delvert adopts this vision when he writes: “There is only one national activity: agriculture. The Cambodian is a peasant. He leaves almost all the other jobs to foreigners. In the reverse, he is the only one to cultivate the land. We think that it is rather unusual to find such a marked working specialisation” in the world. When J Delvert writes “Cambodian”, we have of course to understand “Khmer”. The literature of the protectorate doesn’t miss the opportunity to go a step further about these distinctions. 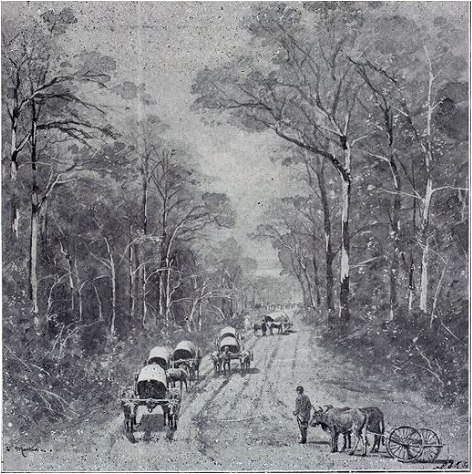 Aymonier wrote in 1875: “In Cambodia, like anywhere else, they are arrogant and corrupting” and we can find choice cuts in the 1899 issue of La Revue Indochinoise: “… this question always so full of interest of the Chinese invading our colonies and taking everywhere positions which could be so usefully held by French traders…”. This kind of recrimination has also been shared by a few Cambodian writers, judging by the strongly anti-Chinese tone of some of Kram Ngoy’s (1865-1936) pieces of poetry. At that time the Chinese were progressively banned from administration and from the economy’s profitable sectors. 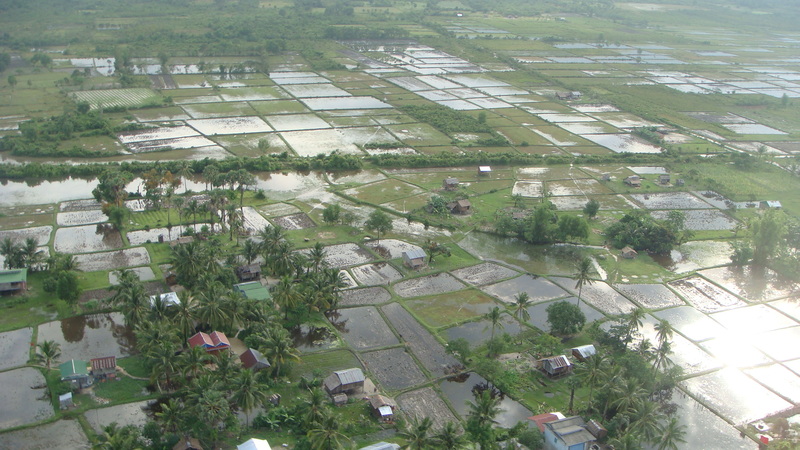 This exclusion policy went on during the Sangkum Reastr Niyum, or People’s Socialist communities, (1955-1970), notably with the nationalisation of the rice distribution network. Without any exaggeration, we can say that the Chinese acquired the reputation of usurer in the time of the French protectorate and the SRN. The Qing’s Manchu dynasty considered overseas Chinese as a pack of disreputable people who had been deprived of Chinese nationality. For Cambodian Chinese, Chineseness as a national fact had its roots in two significant dates: The Kuomintang rise to power after the 1911 revolution and the proclamation of the People’s Republic of China in 1949. The fact there was a Chinese state which recognised expatriate Chinese communities was going to change considerably the deal for the French protectorate as well as for the SRN. Besides, Prince Sihanouk never hid his irritation when faced with the Chinese Cambodian patriotic expressions towards PRC or the role to propagate Maoist ideals the Chinese Association in Cambodia had claimed for itself. The March 18, 1970, coup d’état which overthrew Prince Sihanouk’s regime and abolished the monarchy resulted in a higher degree of coercion towards Chinese Cambodians. In May 1970, all the Chinese schools were closed down and the new regime, at least in its initial stage, entirely excluded the Chinese. During the Khmer Republic, the prevailing view elaborated by the Khmer Mon Institute considered Khmer people as a superior racial expression and took Chinese and Vietnamese as targets. At that time Khmerism and fear of the Chinese Khmer communist contamination combined to exclude the Chinese. The Khmer Rouge’s seizure of power and the evacuation of the towns dealt a severe blow to Chinese Cambodians. Up to 200,000 Chinese are estimated to have died between 1975 and 1979; most specialists don’t talk of genocide and agree on the fact that the Chinese were mainly victims of the forced evacuation, the failure to adapt to the new environment, famine and, in a few zones, executions. Succeeding the Khmer Rouge regime, the People’s Republic of Kampuchea, or PRK, put into practice an open discrimination policy against the Chinese minority. One of the main causes appears to be the hostile climate between Hanoi and Beijing and the fear that Cambodian Chinese could be a fifth column against the newly established PRK. Another cause may have been the will to prevent Chinese commerce restoration. Whatever the reason, in the beginning of 2002, the 351 decree recommended a complete filing on the Chinese population. Considering the means at the disposal of the PRK in those years, we have difficulties imagining the efficiency of such measures. In the beginning, Chinese did not have access to the towns, only later did they have the possibility to settle. Some events can’t be easily quantified and thus can hardly become objective facts for the historian. Do we necessarily have to neglect them? Many interviews highlight a considerable increase in Chinese Khmer marriages from 1980 onwards. As a high degree of endogamy characterises the way of life of overseas urbanised ethnic Chinese, the fact is exceptionally important. In the ’80s, what is at stake is simple and for various geopolitical reasons which they certainly don’t understand, Cambodian Chinese are undesirable: they are barred from access to the party and administration of the People’s Republic of Kampuchea and private commerce is not in the regime’s good graces. Marriage is one integration strategy and the historical record of Chinese Khmer marriages will be reached between 1980 and 1988; at that time, as the withdrawal of the Vietnamese troops is obvious, the Chinese Khmer marriages will decrease as if by magic. From 1989 onward, as it becomes possible to sell real estate, Chinese families began settling back down in their district of origin: the evolution in progress is slow, but perceptible. From now on the loop appears to be looped and, as if a 130-year history (1863-1993) had been put a parenthesis, it appears that we covered the whole cycle to be back to the period preceding the French protectorate. Nowadays, with the blessing of the People’s Republic of China, Cambodian Chinese life reasserts itself. Elsewhere in Southeast Asia, things would be much clearer: assimilation policies, Chinese activities strictly restricted to commercial spheres, very limited access to administration etc. 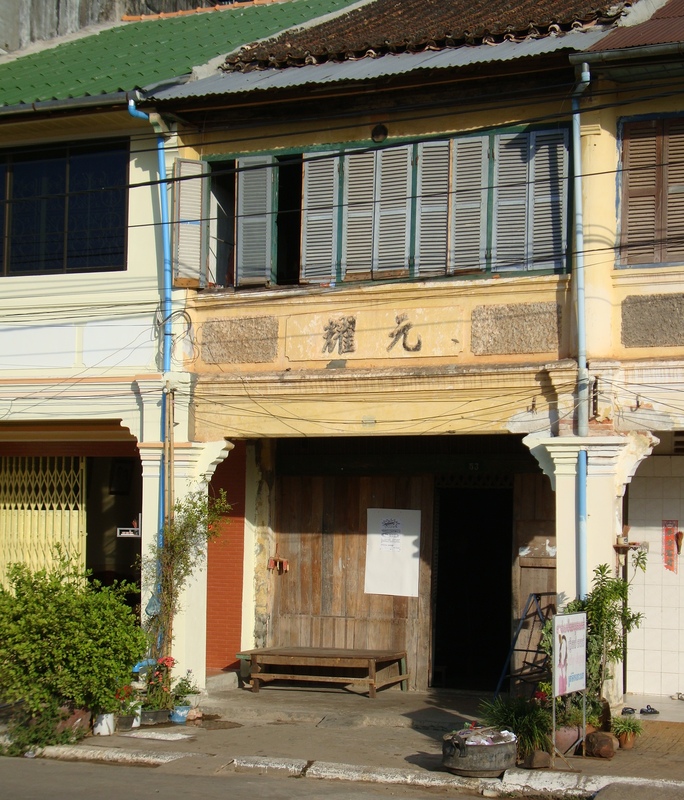 In Cambodia prior to the French protectorate, a loosely organised space allowed Chinese people to integrate into Khmer society or to refuse to do so, to be a comprador or to join the administration. The slow structuring of Cambodian space from the time of the French protectorate won’t spare the Chinese minority of which the sphere of activity will be progressively diminished to be reduced to nothing … to finally regain its original prerogatives. Parue en 1956, la nouvelle de Im Thok, Sim Le chauffeur, détonne véritablement au sein d’une production littéraire marquée par une exclusion du social. L’auteur est peu connu. Il exerça le métier de journaliste dans les années 50 et entre 1956 et 1958 écrivit trois petits romans abusivement qualifiés de « nouvelles ». A l’instar de beaucoup d’ouvrages à tirage limité paru dans les années 50, ces textes auraient probablement disparu dans la tourmente qui a suivi les années du Sangkum Reastr Niyum (1955-1970) s’ils n’avaient été redécouverts pendant la République Populaire du Kampuchéa (1979 – 1992) et réédités comme manuels scolaires. L’ouvrage nous relate les conditions de vie d’un sous prolétariat issu d’une campagne qui ne peut plus le nourrir et qui cherche à Phnom Penh les moyens de sa subsistance. Im Thok décrit essentiellement un milieu de coolies pris dans le piège d’une précarité extrême. Sim est le personnage pivot de l’ouvrage en ce qu’il a des amis coolies auxquels il offre conseils et rudiments d’éducation. Il exerce la profession de chauffeur, ce qui lui permet d’être en contact avec d’autres couches de la société. Sim utilise le peu d’argent qu’il gagne pour acquérir journaux et livres. Il s’en explique à son ami San : « Je ne veux être instruit que pour trouver le chemin de la justice et c’est tout. Je veux être instruit pour défendre ma liberté et mes droits et ne laisser personne m’en priver. Je veux être instruit, pour contribuer à affermir et renforcer la neutralité, l’indépendance et la démocratie dans notre pays… ». D’aussi belles intentions ne sont pas pour éviter l’écueil du didactisme quand Sim entreprend, à la demande de son ami Meng, d’éduquer les coolies sur la politique internationale ou les conditions de vie des travailleurs dans d’autres pays. A la question « Est-ce qu’on y achète aussi les gens pour les exploiter comme nous à longueur d’année ? », Sim répond par un éloge appuyé du monde socialiste : «…dans ces pays le progrès économique est rapide. Les ouvriers, les coolies sont maintenant propriétaires de leur travail ». A ce paradis sur terre s’oppose « le bloc impérialiste » où « Ceux qui ont à manger et ne manquent de rien obtiennent encore plus, les pauvres deviennent de plus en plus pauvres». La solution aux yeux de Sim passe par le tissage de liens de solidarité « il est absolument nécessaire que nous réunissions nos forces et que nous formions des associations ». Eduquer est le maître mot, ce qui n’est pas pour nous surprendre dans le contexte des années 50 et 60 où l’éducation était vue, et pas seulement au Cambodge, comme le correctif de toutes les disharmonies sociales. Ainsi, à tante Prem qui s’enquiert de ce qu’il faut faire, Sim répond « Solidarisons-nous intimement pour étudier… ». Ce petit roman est une mine d’information sur la perception qu’ont les milieux progressistes cambodgiens du SRN. Nous sommes en 1956, un peu plus d’an après les accords de Genève qui ont consacré la neutralité du Cambodge, l’abdication du roi Norodom Sihanouk en faveur de son père pour pouvoir gouverner et, bien sûr, la création du SRN qui va dominer la scène politique cambodgienne jusqu’en 1970. Le SRN (communautés socialistes populaires) n’est ni une théorie ni un parti politique, mais a été et restera dans l’esprit de son concepteur un mouvement de masse, véritable creuset destiné à opérer de vastes rassemblements pour affirmer et défendre les intérêts de la nation cambodgienne. D’où le recours à des procédés de démocratie directe, diversement appréciés, où, à l’occasion de longues messes, le peuple se voyait accorder la possibilité d’interpeller ses dirigeants. La gauche cambodgienne acceptera de jouer le jeu et des membres de sa fraction marxiste occuperont à diverses reprises des fonctions gouvernementales, comme Hou Youn et Khieu Samphan. Un thème important du roman est la neutralité du Cambodge. Sim ne manque pas de faire à son collègue San un cours sur ce qui menace la neutralité cambodgienne : « La S.E.A.T.O. (l’acronyme Français en est OTASE : Organisation du Traité de l’Asie su Sud Est, créée le 8 septembre 1954) exerce une main de fer sur la Thaïlande et les Philippines très proches de nous…des hommes politiques indépendants de grand renom…l’accusent d’être un groupe belliciste, destiné à casser les accords de Genève qui ont amené la paix en Indochine ». Le thème est des plus mobilisateurs et Sim trouve des accents vibrants pour l’exprimer : « Nous devons faire serment d’extrême solidarité et d’amour pour notre gouvernement, pour notre assemblée, afin qu’ils défendent sérieusement notre souveraineté ». En matière de liberté d’expression les limites semblent encore très floues. A son collègue San qui évoque les dangers de la lecture de journaux de gauche comme « la nation » ou « Le peuple ». Sim rétorque : « je n’ai encore jamais vu personne qui m’ait interdit quoi que ce soit, sauf toi qui cherche à m’effrayer…le gens comme toi San  sont les vrais destructeurs de la liberté et des droits du peuple khmer ». Au coeur du roman, la vie quotidienne des coolies est minutieusement décrite. Il s’agit de la couche la plus misérable de la société cambodgienne : « nous devons supporter les tâches les plus lourdes, nous ne sommes pas différents du béton qui constitue l’armature d’habitations… ». La spirale de la misère est particulièrement bien décrite et, à peine les salaires sont-ils distribués qu’ils servent déjà à rembourser les dettes contractées auprès des marchands de vermicelles et de glaces. 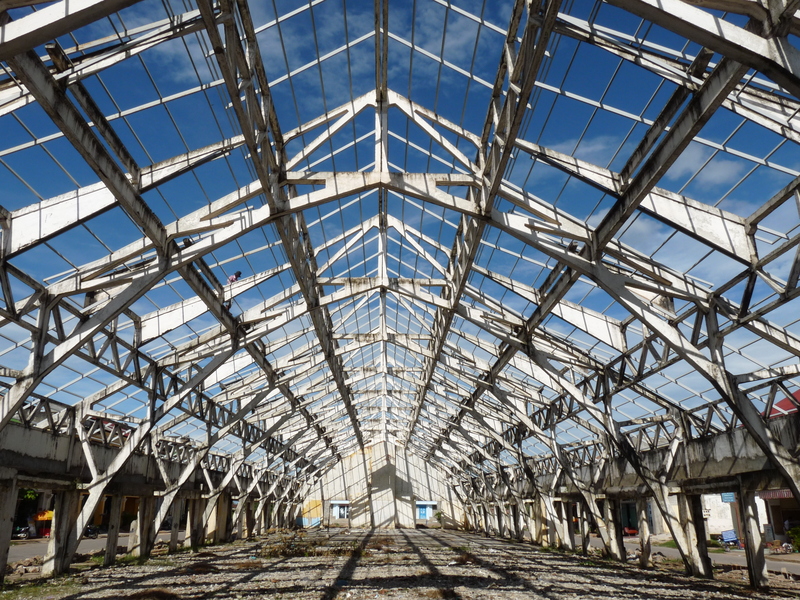 A l’impossibilité d’accumuler le minimum qui permettrait d’alléger la misère s’ajoute l’angoisse devant les difficultés de trouver un nouveau travail une fois le chantier achevé. Le milieu des coolies n’est pas le seul dépeint et nous faisons aussi connaissance avec le milieu des employeurs de Sim. Le jour et la nuit serait presque un euphémisme pour rendre compte des différences entre les deux couches sociales : voiture avec chauffeur, enfants à l’école française, épouses au foyer, maîtresses, nombreuses distractions… L’éducation que Sim a acquise en autodidacte lui permet de donner la réplique à son patron et leur conversation de mettre ainsi en valeur la distance immense entre les deux types d’existence. Ainsi, prenant prétexte d’un concours de beauté, Sim cite à son patron l’opinion d’une certaine Prem sur les conditions « des millions de femmes…qui s’échinent à construire des routes  on ferait bien mieux de leur donner un salaire décent pour vivre ». Son patron a beau jeu d’invoquer une fatalité, soi disant caractéristique de la culture khmère, dont on use et abuse pour légitimer des positions sociales : « Ses malheurs ne sont-ils pas le fruit de ses actes passés ? ». Ce à quoi Sim rétorque : « Mon épouse dit que ce n’est pas vrai du tout que cela soit le fruit du Karma. Depuis qu’elle peut lire les journaux, elle pense que nos malheurs à nous les khmers viennent du colonialisme qui nous a opprimés ». L’intérêt de cette répartie n’est pas tant dans l’opposition entre causalité naturelle et causalité sociale. Bien au delà, elle nous enseigne qu’il ne saurait y avoir une culture khmère statique censée exister de toute éternité ; il n’y a pas d’exception culturelle cambodgienne et ce que l’on entend par culture, ici comme ailleurs, a préalablement été informé par le crible du social. L’exposé du bouddhisme comme théorie philosophique et / ou religieuse est une chose, sa mise en oeuvre dans le cadre d’une société particulière en est évidemment une autre. De façon incidente, l’écart entre théorie originelle et incarnations historiques est peut être plus important dans le cas du bouddhisme que dans celui des autres grandes religions. Quoi qu’il en soit, tout discours sérieux sur le Cambodge ne saurait faire l’économie du bouddhisme, la question restant de savoir de quel bouddhisme il s’agit. Le bouddhisme dans votre poche ? Quel bibliothécaire ou libraire, pas forcément orientaliste, ne s’est pas entendu demander : «vous n’auriez pas un livre pour comprendre le bouddhisme ? ». Les enjeux sont de taille surtout depuis les conversions de personnalités hors pair du show business. La réponse est évidemment positive et notre libraire, selon ses tendances, de vous extirper Borges, ou Walpola Rahula. Traités essentiels qui feront de notre lecteur un expert en herbe dans « les quatre vérités nobles du Bouddha », « la doctrine du non-être (Anatta) », la méditation et autres credo de base du bouddhisme. Le titre du bel ouvrage de David Snellgrove « Religion as history, religion as myth » sonne comme un antidote à ce type d’approche intemporelle. Il y a sans doute beaucoup plus que le balancement entre spiritualité et histoire que suggère ce titre bien rythmé. Pour être proche de la réalité, on pourrait parler d’intrication entre ces deux dimensions au point qu’elles en deviennent insécables. Entre une vague spiritualité et la mise en place d’une pratique religieuse, il importe de prendre en compte une ritualité qui, bien incarnée dans l’histoire, est soumise aux aléas des évolutions et tensions au sein d’une société donnée. L’existence de principes de base supposés communs à toutes les formes de bouddhisme n’empêche en rien le fait bien réel qu’il n’y a pas UN mais DES bouddhismes. Ces bouddhismes ont chacun éclos dans des sociétés particulières et ont fini par en devenir une dimension constitutive. 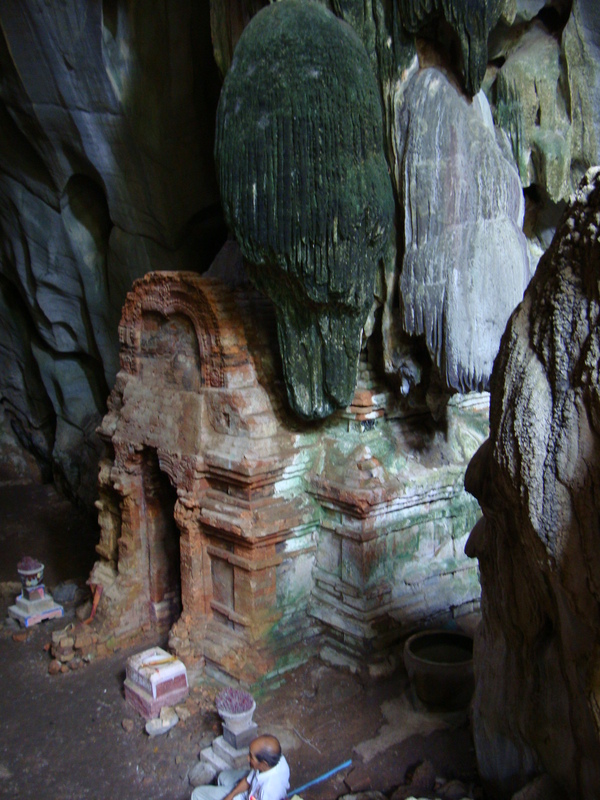 Comprendre le bouddhisme khmer, c’est ainsi saisir les liens particuliers, voir spécifiques, entre une pratique religieuse et une civilisation déclinée en sociétés qui en constituent la trame historique. 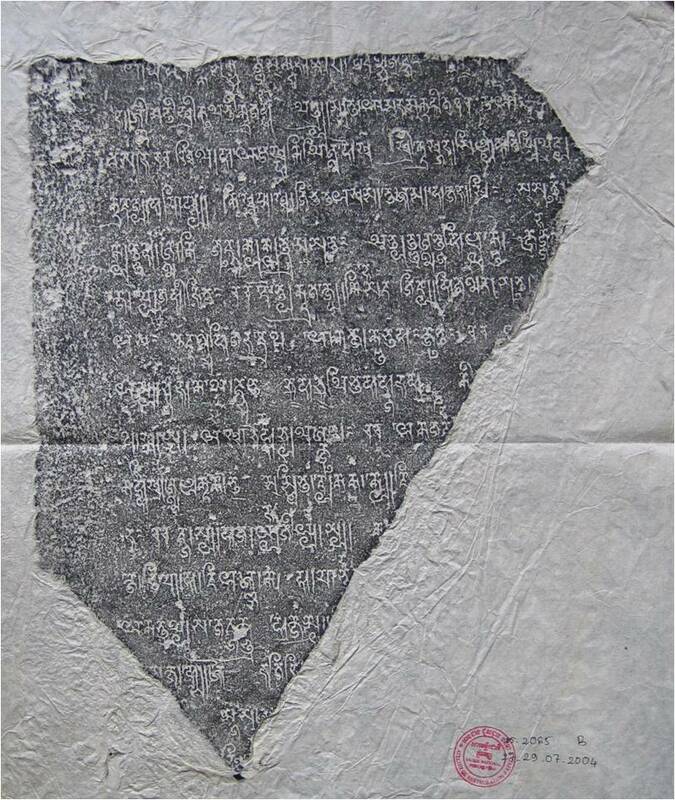 Tout cela pourra sembler fort abstrait ; il n’en est rien et les quelques phrases qui précèdent nous placent au coeur des discours qui ont caractérisé les pratiques du bouddhisme khmer tout au long du 20ème siècle et, par là même, les modalités de la relation du bouddhisme à la population cambodgienne. Les études sur le bouddhisme khmer sont peu nombreuses et, pour la plupart, récentes avec les travaux de François Bizot, Olivier de Bernon et Ian Harris. En matière de bouddhisme, comme dans tout le champ des études khmères, nous nous retrouvons en compagnie de l’oeuvre immense d’Adhémard Leclère. Dire de cette oeuvre qu’elle a été controversée, ignorée et à peine redécouverte aujourd’hui est un truisme. 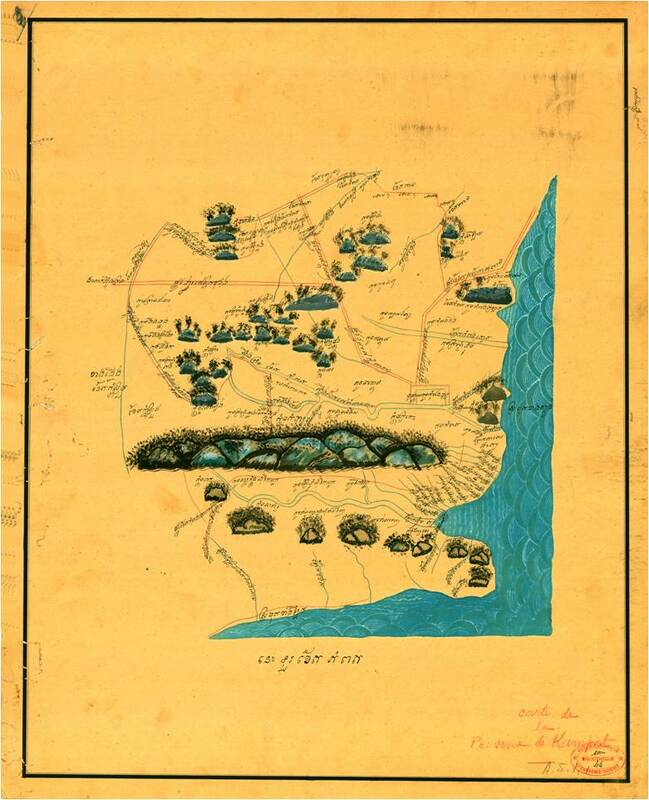 Tout résident de France qu’il ait été à Kampot ou à Kratié, le moins qu’on puisse dire est que A. Leclère et son oeuvre n’ont pas été la tasse de thé des plus hautes autorités du protectorat. A. Leclère publie « Le buddhisme (sic) au Cambodge » en 1899 et c’est sans doute dans cet ouvrage et sa méthodologie qu’apparaissent clairement les raisons de l’ostracisme dont il a fait les frais. A propos du contenu de son ouvrage, A. Leclère déclare : « il n’était pas inutile de rechercher ce que la doctrine buddhique est devenue au sein des masses du peuple, et quelle place elle occupe aujourd’hui dans leur conscience » ; de façon beaucoup plus explicite : « Mon livre n’est donc que la monographie nationale d’un peuple buddhiste, une enquête sur la religion et les croyances religieuses du peuple cambodgien, non telles, peut-être, qu’elles devaient être d’après les textes sacrés, mais telles qu’elles sont en réalité aujourd’hui ». Les réactions ne vont pas tarder ; d’abord celle de Huyn de Verneville, deux fois résident supérieur (mai 1889 – janvier 1894 ; août 1894 – mai 1897) qui traite A. Leclère de « Charlatan », puis, dans la même veine, celle de Georges Coédès. Le tabou enfreint par A. Leclère pour justifier la virulence de ces réactions? En matière de bouddhisme, comme ailleurs, il a voulu faire oeuvre de descripteur, voir d’ethnographe ; une attitude qui n’a pas du tout été du goût d’un protectorat qui avait pour le bouddhisme cambodgien des ambitions toutes autres. C’est peu dire que le rôle du bouddhisme cambodgien a été radicalement transformé par le protectorat français. Il importe cependant de prendre garde au fait que cette modernisation du bouddhisme n’a en rien changé un panthéon multiséculaire de croyances ainsi que des pratiques dans lesquelles la population cambodgienne continue aujourd’hui encore de se reconnaître. Ce qui a fait et continue de faire le succès du bouddhisme petit véhicule au Cambodge est la façon dont la communauté des moines (Sangha) a su gérer en parfaite collaboration avec ses fidèles toute une nébuleuse composée d’hindouisme et d’animisme. Cela se traduit par un recours fréquent à des pratiques de sorcellerie que les modernistes cambodgiens des années 30 ont fermement condamnées ; Ainsi, pour K. Chea, ministre des affaires religieuses de l’époque, ce qui est choquant, c’est que tant les moines que le commun des mortels se sont habitué à voir dans les pratiques de sorcellerie «une branche de l’enseignement du bouddhisme ». Il en faut davantage pour émouvoir les autorités du protectorat ; mais c’est précisément la rencontre entre une volonté cambodgienne de modernisation du bouddhisme et la nécessité pour le protectorat de remettre les moines au pas qui va faire du bouddhisme cambodgien une authentique religion nationale. Ce qui dérange le protectorat, c’est d’abord une diversité régionale extrême. Dans les mots de Adhémard Leclère : « pas d’église, pas de Sangha national »; ce qui veut tout simplement dire quasiment autant de centres décisionnaires que de monastères, chaque monastère édictant bien sûr ses propres règles. Un point qui deviendra ultérieurement emblématique illustre très bien cette « diversité » : le traitement des questions orthographiques ; Maspéro écrit à ce sujet au début du 20ème siècle: « L’orthographe, jamais fixée jusqu’ici est restée soumise aux fantaisies des scribes qui constituent au Cambodge la classe lettrée. Infatués d’une prétendue science du sanscrit ou du pâli, qu’ils ignorent à vrai dire profondément… ». En matière religieuse, il y a absence totale d’interlocuteur représentatif pour les autorités du protectorat et cette vacuité ne sera longtemps tolérable. Un deuxième point qui dérange le protectorat est la mobilité des moines dans l’espace bouddhique petit véhicule ; il est ainsi courant pour un moine cambodgien du début du 20ème siècle d’aller chercher l’inspiration en Thaïlande, précisément ce que les autorités du protectorat veulent éviter. Le moine est moine avant d’être citoyen tant du point de vue des impôts que de son identité ; quant au monastère, il est vu dans d’innombrables rapports de la sûreté française comme le parfait espace de non droit. Les choses vont très vite changer et un contrôle serré du Sangha sera mis en oeuvre dès les années 30. Si cette mise au pas a été possible sans grande résistance, c’est parce que le protectorat intègre ces mesures de contrôle dans un dispositif beaucoup plus global et qui rejoint les desiderata des intellectuels cambodgiens réformateurs : la réforme des cadres du bouddhisme. Un des points forts sera la rénovation de l’enseignement des pagodes. D’un côté, l’enseignement monastique traditionnel est vu comme antiscientifique et peu susceptible de former les cambodgiens aux exigences de l’économie coloniale ; d’autre part, le contrôle social (piété, soumission) que permet un tel enseignement est naturellement vu comme bénéfique. La solution va donc consister, entre 1924 et 1935, à rénover l’enseignement dispensé dans les pagodes. Cela se traduira par la marginalisation progressive d’un enseignement à l’origine exclusivement religieux et l’émergence de matières modernes comme le calcul, le français, la géographie et, bien sûr, une insistance particulière sur la cartographie ; il s’agit d’en finir avec la fluidité des limites de l’époque et de bien normer l’espace cambodgien, de façon plus explicite d’opposer le Cambodge à son ailleurs, en l’occurrence la Thaïlande. Dans la vie intellectuelle de l’époque, le bouddhisme va se voir attribuer un rôle considérable. 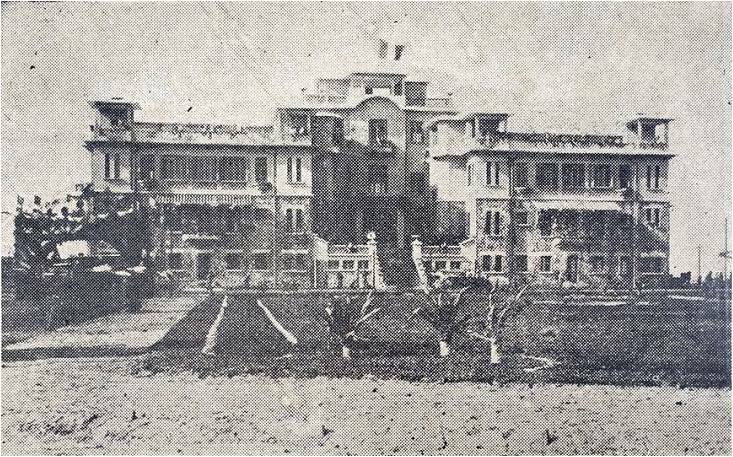 L’année 1922 voit l’école Pali (qui joue en fait le rôle d’une véritable université bouddhiste) rebaptisée Ecole Supérieure de Pali (ESP) et installée dans de nouveaux locaux. L’ESP va se voir doté d’une bibliothèque dont le rôle, selon Georges Coédès qui semble en avoir été l’inspirateur, consistera à « rechercher, classer et conserver tous les documents et les textes portant sur l’histoire bouddhiste, la littérature et la théologie ». Les années 30 voient, avec la création de l’Institut Bouddhique, l’émergence d’une génération d’intellectuels bouddhistes modernistes dont le chef de file est sans conteste Chuon Nath (1883 – 1969) ; ce dernier sera patriarche suprême de l’ordre bouddhiste majoritaire des Mohanikay et, signe des temps, deviendra pour la postérité l’intellectuel bouddhiste engagé dans des questions d’unification et de modernisation de la langue. Il jouera ainsi un rôle immense dans la normalisation de l’orthographe khmère et dans la création de mots nouveaux ; Dès 1915, il a dirigé les travaux qui devaient aboutir à la rédaction du premier dictionnaire unilingue khmer. L’Institut Bouddhique est aussi un centre d’impression de textes, en premier lieu du Tipitaka (les paroles du Bouddha). On peut mesurer par là l’incroyable chemin parcouru en quelques années, en gardant à l’esprit que pour beaucoup de moines conservateurs du début du siècle, le texte religieux tire son pouvoir du support traditionnel en feuilles de latanier et ne saurait s’accommoder d’un support en papier. De son côté, Chuon Nath a parfaitement compris les avantages immenses procurés par l’imprimerie ; Penny Edwards dans « Cambodge, the cultivation of a nation » a proposé une analyse magistrale de ce phénomène. Le dernier acte du protectorat qui va consacrer la hiérarchie bouddhique en instance décisive pour tout ce qui touche à la langue sera la mise en place de la commission des lettrés en 1946. L’Institut Bouddhique n’est pas l’élève bien sage qu’aurait souhaité le protectorat et va très vite devenir un foyer nationaliste centré autour du journal Nagaravatta. Ce nouveau rôle que s’attribue une partie du clergé procède d’une ironie du sort et montre que les efforts des autorités du protectorat pour fonder le bouddhisme en religion nationale ont réussi au delà de toute espérance. Les évènements de juillet 1942 ont vu culminer les manifestations anti françaises menées conjointement par des laïcs et des moines bouddhistes, d’où le qualificatif de « révolte des ombrelles ». L’arrestation du moine Hem Chieu et les propos qu’il tient à la sûreté se passent de tout commentaire : « Personnellement, je déteste les Français et voudrais voir mon pays indépendant. Je dois pourtant admettre que d’un point de vue religieux la France a fait beaucoup pour le Cambodge : ils ont respecté la religion, crée l’Institut Bouddhique et l’Ecole Supérieure de Pali » (cité d’après Henri Locard). On s’était donc habitué à l’époque du protectorat et du Sangkum Reastr Niyum à un bouddhisme dual. Un versant intellectuel permettait à la hiérarchie bouddhique de jouer un rôle d’importance dans le domaine des arts et des lettres et même d’engager le combat contre des intellectuels laïcs qui souhaitaient relativiser les prérogatives du bouddhisme. Le deuxième versant consistait en un bouddhisme populaire très vivace qui devait son succès aux nombreuses pratiques de magie et sorcellerie en tout genre. Comme toujours au Cambodge, il y a l’avant et l’après 1975. On peut dire sans exagération que le Sangha a été littéralement éradiqué à l’époque du Kampuchéa Démocratique (1975 – 1979). Sa reconstruction depuis l’époque de la République Populaire du Kampuchéa (1979 – 1992) et jusqu’à aujourd’hui laisse clairement apparaître quelques tendances importantes. 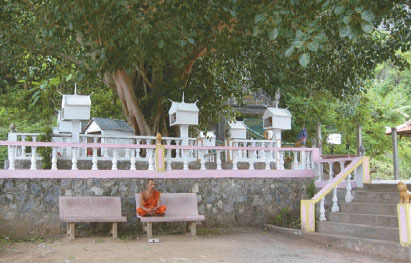 D’abord des éléments de permanence ; la pagode reste le lieu privilégié de rassemblement des cambodgiens. C’est aussi le lieu par excellence où s’aquièrent les mérites : offrandes, financement de cérémonies d’ordination, construction de pagodes, etc. sont autant d’actes qui permettent de réguler une notion éminemment non bouddhique : le karma. Un autre élément éminent de permanence déjà évoqué semble être les pratiques de magie : sorts divers, soins, etc. Il paraîtrait que ces pratiques aient des tendances fâcheuses à s’étendre et que des pagodes auraient été fermées dans la région de Takéo à cause d’un usage par trop prolifique de pratiques de sorcellerie. Le fait que ces informations soient par trop imprécises requiert l’emploi du conditionnel ; n’empêche que la discipline se relâche au sein du Sangha comme l’ont montré de véritables batailles rangées, par exemple lors de la contestation de la nomination d’un supérieur de pagode dans le district de Kien Svay en 2004. Que reste-t-il du rôle normatif de la hiérarchie bouddhique en matière intellectuelle ? Eh bien, les cadres sont toujours en place comme le montre l’Institut Bouddhique qui continue ses activités d’enseignement et d’impression. L’esprit en semble pourtant terriblement absent en ce qu’on réédite des textes et des commentaires sans vraiment de nouveauté. Un exemple très simple de cette tendance à dupliquer sans créer est le dictionnaire de l’Institut Bouddhique achevé dans les années 60. L’ouvrage a été littéralement déifié au point qu’on y touche plus et qu’on tarde à écrire un nouveau dictionnaire pourtant tellement nécessaire. En matière culturelle, il s’agit d’un héritage que le clergé actuel semble incapable de faire fructifier. En conclusion, lorsque la science disparaît, apparaît la morale. Dans ce domaine, nulle leçon à recevoir de qui que ce soi, comme le montrent les réactions virulentes qui ont accompagné la sortie de l’opéra Rock « Where the elephants weep » qui avait le grand tort de mettre en scène un bonze au comportement par trop humain. L’ouvrage de madame Billon Ung Boun-Hor n’est pas celui d’un témoin ordinaire, mais a été écrit par l’épouse du président de l’assemblée nationale de la république khmère. 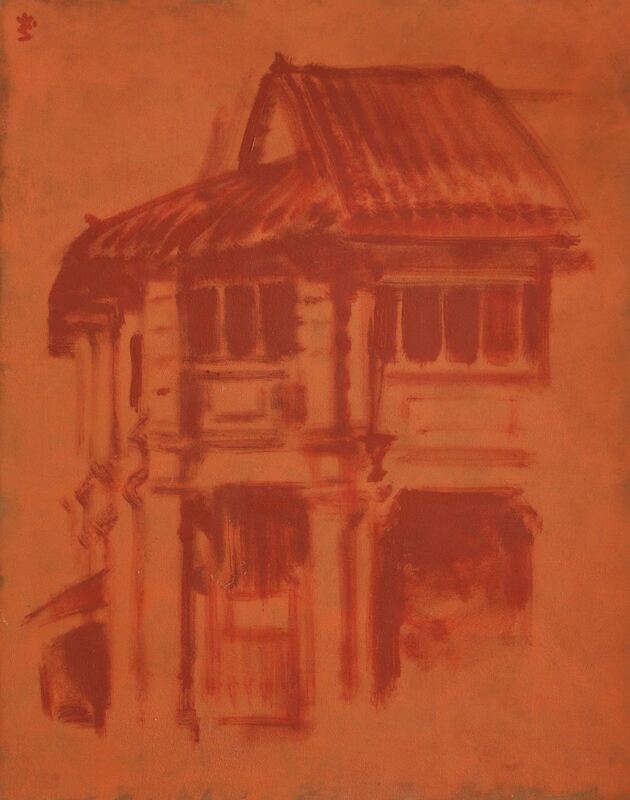 « Rouge barbare » est paru aux éditions Respublica en 2009 et porte sur la couverture le sous-titre « Les khmers rouges, Sihanouk, Paris : les liaisons dangereuses ». Le pourquoi d’un nouveau livre sur la période khmère rouge. L’ouvrage s’ouvre sur la fameuse scène du 20 avril 1975 dans les locaux de l’ambassade de France à Phnom Penh lorsque seront livrés aux khmers rouges les officiels cambodgiens qui avaient tenté sans succès d’obtenir l’asile politique de la France. Parmi eux, le prince Sisovath Sirik Matak et l’époux de l’auteur de l’ouvrage Ung Boun Hor président de l’assemblée nationale de la république khmère qui seront exécutés peu après. L’auteur qui se trouve en France avec ses enfants va tout mettre en oeuvre dans les années qui vont suivre pour comprendre ce qui s’est réellement passé entre le quai d’Orsay et l’ambassade de France au Cambodge et par dessus tout la légèreté avec laquelle les réfugiés khmers ont été livrés à une mort certaine. Sur ce sujet, l’auteur est convaincant ; l’ennui est qu’elle ne le reste guère dès qu’elle tente d’intégrer son récit personnel dans un système explicatif plus global où abondent les banalités et l’obsession de « démontrer » la culpabilité du prince Sihanouk dans la trame évènementielle des années qui vont suivre le Sangkum Reastr Niyum. Il va falloir des années à l’auteur pour démêler la trame des évènements qui se sont déroulés entre le 17 et le 20 avril 1975. Tout commence par des tergiversations dans une ambassade qui n’a plus d’ambassadeur depuis 1972 et qui est gérée par un consul qui attend ses ordres de Paris. L’auteur a pu avoir en sa possession plusieurs télégrammes parfaitement contradictoires échangés entre le quai d’Orsay et l’ambassade, ainsi le même jour (17 avril 1975) deux télégrammes arrivent à l’ambassade ; le premier stipulant que « droit d’asile n’est pas reconnu en droit international » (sic !) indique au consul que les demandeurs cambodgiens d’asile doivent quitter l’ambassade alors qu’un deuxième télégramme parvient au consul précisant que des pressions ont été exercées sur les autorités khmers rouges afin qu’elles respectent l’extraterritorialité de l’ambassade. L’imbroglio se poursuit le 18 avril, date à laquelle les noms des officiels réfugiés à l’ambassade ont déjà été remis aux khmers rouges (une dénonciation, selon l’auteur). Le dénouement aura lieu le 20 avril où « en fin de journée, Jean Dyrac rend compte au ministère par un télégramme indiquant que les personnalités se sont livrées dignement aux Khmers rouges ». C’est cette version que l’auteur conteste vivement et preuves à l’appui en présentant une photographie de son mari littéralement expulsé de l’ambassade par les gendarmes de services et en démontrant par des témoignages qu’une piqûre de tranquillisants lui avait été administré alors qu’il continuait de clamer son droit à l’asile politique et refusait d’être livré. Nous étions jusqu’à présent dans le flou le plus artistique concernant l’ambassade et le Quay d’Orsay ; c’est bien la première fois que des documents aussi explicites proposent de faire la lumière sur un épisode où, dores et déjà, l’humanité et l’élégance ne semblent pas être au rendez-vous. Tout serait allé pour le mieux si l’auteur en était resté à ce qu’elle connaissait bien, à savoir son patient travail de déchiffrage d’archives qui lui ont permis d’établir des responsabilités dans la mort de son mari. Hélas, le texte de l’auteur, à l’instar des mémoires de beaucoup de réfugiés khmers, éprouve le besoin irrépressible de replacer son action et celle de sa famille dans un contexte beaucoup plus global et de nous proposer sa version des évènements qui a conduit à l’arrivée des Khmers rouges au pouvoir. « Je suis républicaine, je l’assume et je souhaite l’abolition de la monarchie dans mon pays. 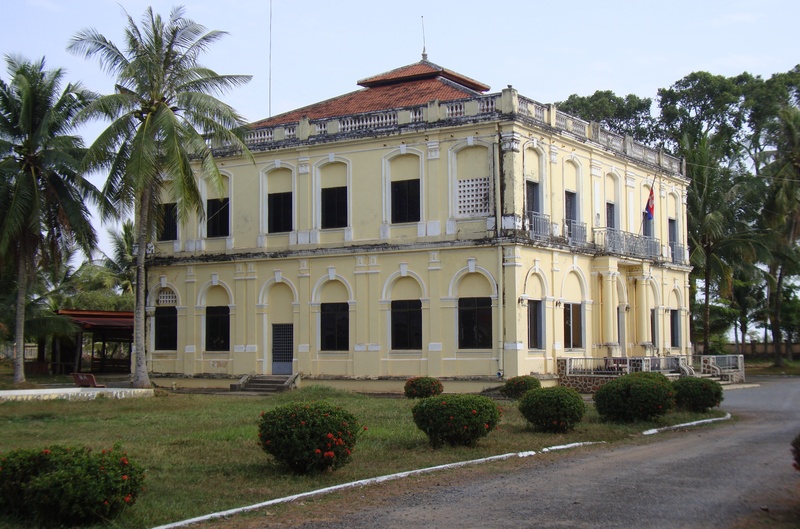 Ayant vécu sous le régime monarchique de Sihanouk, puis sous la république après son éviction, je sais que l’avenir du Cambodge sera républicain ». On l’aura compris, l’auteur n’est pas sihanoukiste. Même si elle ne prend pas pour modèle la république khmère, son argumentation en faveur de l’instauration d’une république au Cambodge n’a strictement aucun sens ; l’auteur procède d’une définition idéale du terme démocratique, comme si la simple dénomination de république entraînerait de facto des caractéristiques propices à l’éclosion des libertés. Même une monarchie constitutionnelle de type de celle que connaît le Cambodge aujourd’hui ne trouve pas grâce à ses yeux et la raison de cela apparaît très vite relever de solides inimitiés personnelles qui se découvrent subitement quand il est question du roi Sihamoni. Il en va de même au sujet des relations avec le prince Sihanouk censé être responsable de tous les maux qu’a connu le Cambodge ; l’ennui, et l’auteur ne s’en cache pas, est qu’elle-même et son mari ont été des serviteurs dévoués du régime du prince Sihanouk, ont eu l’honneur de jouer dans ses films, sans y être forcés, et représenteront le Cambodge à Cuba au moment du coup d’état de mars 1970. Après coup, la critique va de soi car on découvre tous les maux d’un régime qui ne pouvait sur le fond qu’être honni. Et l’auteur ne manque pas de redécouvrir plus de quarante ans plus tard les aspects les plus critiquables du régime : « Malgré mon jeune âge, je voyais bien que la vie au Cambodge était à deux vitesses. L’existence de souffrance (sic) des pauvres installés sur des nattes posées à terre faute de lits dans des hôpitaux sans hygiène, contrastait avec la frivolité arrogante de la cour où tout n’était que superficialités et intrigues ». Nous en voilà fort aise d’autant plus que l’auteur détaille sa vie en France en la comparant avec celle du Cambodge : « Je n’arrivais pas encore à me mettre dans ma tête que je n’étais plus dans mon pays. Avant je ne regardais jamais les soldes de mon compte bancaire ; j’achetais ce que je désirais, quand je le désirais ! Je me remémorais les nombreuses voitures de ma famille : Cadillac, Chrysler, Oldsmobile, Mercedes, etc. ». On ne pourra pas reprocher son manque de franchise à madame Ung Boun-Hor qui ne cherche pas à se présenter comme une damnée de la terre à l’époque du Sangkum Reastr Niyum. Haro sur le prince ! Et la fameuse approche critique du Sangkum ? Eh bien nous resterons sur notre faim! Il s’agit en réalité des banalités auxquelles une certaine littérature nous a depuis longtemps habitué. Les textes ne manquent pas qui masquent une haine viscérale de Sihanouk derrière de prétendus arguments historiques et celui-ci ne fait pas exception. Entre autres perles, nous apprenons une nouvelle fois que les USA ne sont absolument pour rien dans le coup d’état de 1970, ou encore, à propos du vote du 18 mars 1970 qui destitua le prince Sihanouk de ses fonctions de chef de l’état, «Pour ce vote, aucune pression internationale mais effectivement des manifestations populaires anti-Sihanouk ! ». On ne discutera pas ces inepties; on pourrait quand même remarquer que ce merveilleux régime qu’est la république khmère débute par l’assassinat en masse d’innocents civils vietnamiens et de Cambodgiens venus protester en masse contre la destitution du prince. La suite est bien connue: une bêtise inégalée, sauf par le régime qui va suivre, en matière politique et militaire. N’en déplaise à l’auteur, le Sangkum Reastr Niyum reste dans l’esprit de nombreux Cambodgiens la période la plus heureuse de l’histoire moderne du Cambodge. Le régime issu du coup d’état de mars 1970 se présente d’emblée comme révolutionnaire en ce qu’il renverse un régime monarchique qui avait jusque là présidé aux destinées du Cambodge et qu’il entend rompre radicalement avec la politique du Sangkum Reastr Niyum (1955 – 1970). Si, pendant ses 5 années d’existence, la république khmère n’aura guère le loisir de se construire une idéologie cohérente, elle n’en sera pas moins le cadre de théories aux ambitions démesurées. La nature profonde de la république khmère se révèle dès les premières semaines de son existence lorsque des révoltes pro Sihanouk, brutalement réprimées par l’armée, éclatent dans plusieurs villes de province. Avant même les défaites militaires qui ponctueront l’histoire de la république, le régime restera essentiellement cantonné à Phnom Penh où se trouve l’essentiel de sa base sociologique : milieux affairistes et politiciens pour lesquels le salut repose sur une alliance totale avec l’Amérique, militaires qui ont prudemment tourné leur veste et intellectuels qui s’étaient senti négligés, voir censurés à l’époque du Sangkum Reastr Niyum (SRN). En apparence, la rupture est de taille car le nouveau régime se construit en opposition systématique avec le SRN. On accuse le prince Sihanouk d’avoir trahi la neutralité cambodgienne en laissant aux communistes vietnamiens des bases sur le territoire cambodgien, ou en fermant les yeux sur les transits d’armes destinées au Vietcong. De toute évidence, le prince Sihanouk savait ce qui se passait et n’avait guère les moyens de l’empêcher ; cette « Realpolitik » destinée à maintenir un équilibre précaire a quand même duré 15 ans et a préservé le Cambodge de la guerre qui déchirait les pays voisins. Pour les républicains en revanche, Sihanouk est un traître qui a consciemment bradé les intérêts cambodgiens avec l’intention de mener son pays au communisme. L’action de la république va donc consister à rétablir un statu quo ante en boutant les communistes vietnamiens hors du Cambodge. Rétrospectivement, l’efficacité comparée des deux stratégies ne laisse guère de place au doute. En parallèle à ses ambitions politiques immédiates, le discours maximaliste est très caractéristique de la république khmère en ce qu’il exprimera une remise en cause non seulement du SRN, mais aussi de l’héritage colonial en matière de frontières et plus encore témoignera d’une volonté de repenser Cambodge et khmérité en Asie du Sud est. La vieille animosité entre Vietnamiens et minorités montagnardes de la cordillère annamitique va se traduire dans les années 40 par des promesses d’autonomie faites par les autorités françaises et qui resteront lettre morte. Le FULRO qui naîtra en 1964, visiblement avec l’aide des forces spéciales américaines, sera pendant 10 ans une véritable armée au service des minorités du Sud Vietnam. Idéologiquement, il s’agit d’un fourre tout où l’on retrouve pèle mêle revendications autonomistes ou indépendantistes, volonté d’un redécoupage de la carte du Vietnam, etc. Le Cambodge républicain va s’intéresser de très près au FULRO par l’intermédiaire de ses militaires d’origine Cham et en tout premier lieu de Les Kosem, général de l’armée républicaine. Egalement connu sous son nom de guerre Po Nagar, il s’était déjà illustré dans les années 50 par la création du Front de Libération du Champa (FLC) ; il jouera un rôle de premier plan dans la mise en place du FULRO et dans l’établissement de liens entre république khmère et nationalistes Chams. Pour lui, le deuxième conflit indochinois est l’occasion rêvée de redonner naissance à un état Cham. Une délégation Cham, représentant un gouvernement auto proclamé, sera reçue à Phnom Penh en 1971. Les vêtements des membres de la délégation ayant été jugés peu adéquats, on fit secrètement atterrir l’avion à Phnom Penh pour les habiller dignement. Le lendemain, après 3 tours au dessus de l’aéroport, l’avion atterri cette fois officiellement et la délégationfut reçue en grande pompe. Pour la république khmère, le redécoupage de la carte est aussi à l’ordre du jour et dans cet ordre d’idée, toutes les alliances, minorités des hauts plateaux ou indépendantistes chams, sont bonnes à prendre : il paraît qu’une carte aurait même été dessinée par les soins de la république khmère pour représenter la nouvelle frontière entre le Cambodge (Cochinchine incluse) et le Champa. De ce point de vue, le régime oscille entre les nécessités anticommunistes de son alliance avec la république du Vietnam et sa vision de la khmérité qui s’accompagne souvent d’un racisme anti vietnamien. L’écrivain et professeur de lettres Keng Vannsak n’a jamais été à l’honneur sous le SRN. En 1968, accusé de menées subversives, il est interdit d’enseignement et placé en résidence surveillée. Le coup d’état de mars 1970 va le réinstaller dans ses prérogatives et il sera nommé directeur de l’Institut Khmer – Mon nouvellement crée par les autorités républicaines. Le terme « Mon – khmer » a été forgé par des linguistes au 19ème siècle pour désigner un groupe de langues de même origine parlées sur un espace qui s’étend du Sud de la Chine à la Malaisie centrale et de l’Est de l’Inde à la mer de Chine méridionale. 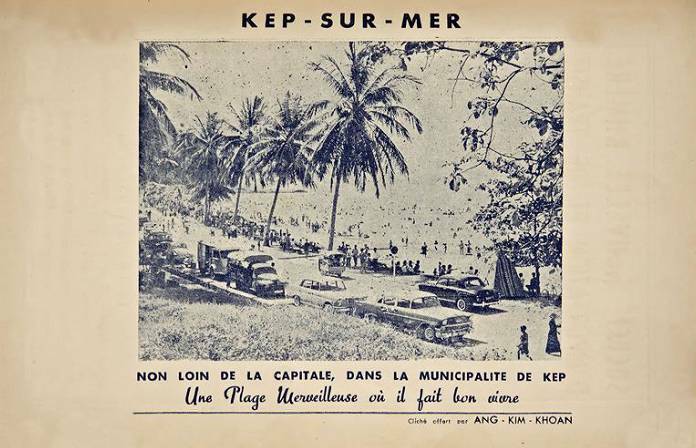 Le terme « Austro – asiatique » a été aujourd’hui substitué à « Mon – khmer ». Dans l’esprit de Keng Vannsak, qui a interverti les termes, l’Institut Khmer – Mon aurait eu pour but de retrouver et de mettre en valeur les bases culturelles d’une khmérité originelle (pré hindouiste et pré bouddhiste) afin d’unir dans un pôle de résistance les Khmers et les peuples apparentés dont beaucoup vivent sur les hauts plateaux de l’actuel Vietnam ; ce qui n’est pas sans rappeler les intentions du FULRO. La notion d’apparentement est on ne peut plus fantaisiste en ce qu’elle réfère tantôt à la parenté linguistique, tantôt à un mode de vie proto indochinois semblable à celui qui existe de nos jours sur les hauts plateaux du Cambodge (Mondulkiri et Rattanakiri). Les « travaux » de l’institut se résumeront à la publication de quelques numéros d’un journal où sera affirmée la supériorité des Khmers et Keng Vannsak, très vite désabusé, quittera le Cambodge dès 1971. En 1998, à l’occasion d’une discussion, il me déclarera que: « pour Lon Nol, le Khmer – monisme n’était rien d’autre qu’un mélange curieux de bouddhisme et de magie ». Il ne semble pas y avoir grand chose de consistant dans « l’idéologie » de la république Khmère. On peut évidemment s’amuser du contraste entre les ambitions démesurées de stratèges et de penseurs qui concoctent dans leurs bureaux des projets grandioses et un régime aux abois, vite réduit à sa capitale, qui ne devra ses 5 années d’existence qu’à la protection militaire américaine. Un trait caractéristique de la mise en pratique de cette « idéologie » demeure la confusion, apparemment volontaire, entre politique anticommuniste et racialisme dont les Vietnamiens feront d’abord les frais lors des massacres du « Phum catholique » organisés par l’armée cambodgienne en 1970. Les Chinois verront également leurs institutions (écoles, sièges d’associations) mises au ban de la société cambodgienne. La surestimation de ses propres capacités sur fond d’invocation de la supériorité khmère va de pair avec l’absence du réalisme le plus élémentaire vis à vis du contexte géopolitique régional. Cela permet d’établir un parallèle troublant entre la république khmère et le régime du Kampuchéa Démocratique qui va lui succéder.